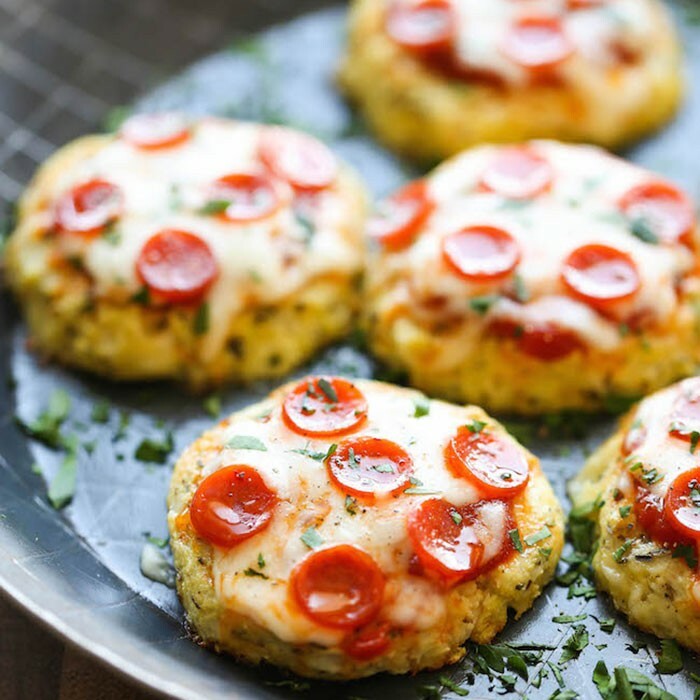 Homemade Veggie Burger Recipes You Need Now! The delicious meat-free burger: It does exist. Try these mouth-watering and healthy options. Slather on traditional toppings to make this protein-rich patty drool-worthy. 1. In a saucepan, combine quinoa and 1 cup water. Bring to a boil and simmer about 10 minutes. Let quinoa cool. 2. In a bowl, combine half the lentils, bread crumbs, egg, garlic, cumin, cilantro, lemon juice, cooked quinoa, and salt and pepper to taste. Place in a food processor or blender; process until well combined. Add remaining lentils and walnuts; pulse until they’re incorporated. Form into 6 patties. 3. Preheat grill to medium. Meanwhile, melt butter in skillet over medium heat; add sliced mushrooms and saute for 5 minutes, stirring regularly. Stir in wine and cook for another 5 minutes. 4. Brush burgers with oil and cook for 4 minutes per side. Toast buns for 2 minutes. Serve burgers on buns and top with sauteed mushrooms. 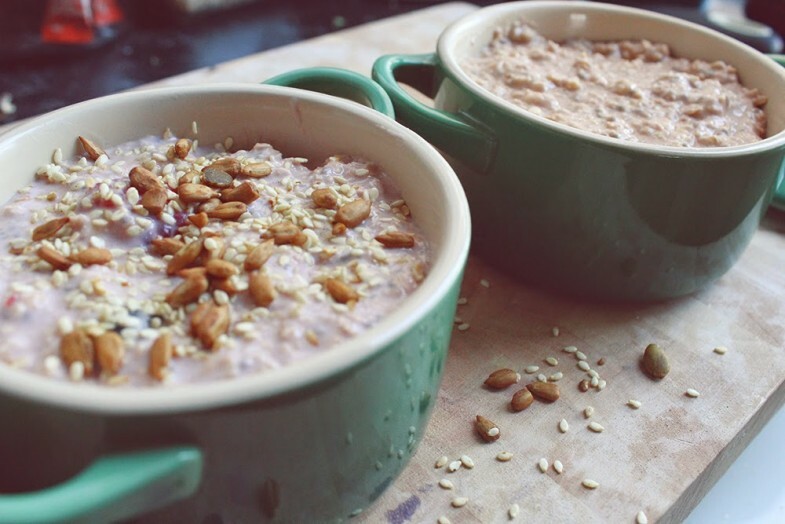 Chances are you’ve got some extra oatmeal in the back of your cupboard. Use it to add texture to traditional black bean burgers. 1. Preheat grill to medium. Place half the beans in a food processor or blender along with mushrooms, oats, garlic, egg, cumin, and pepper. Process until well mixed. Add remaining beans and pulse the machine until they’re combined into the mixture. 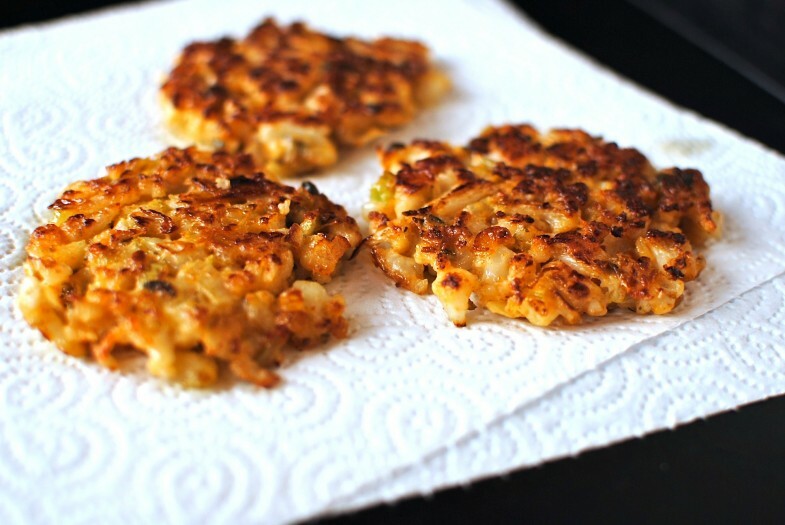 Form into 6 patties and coat each with vegetable oil. 2. Grill for 3 to 4 minutes per side or until browned. Toast buns for 2 minutes. Serve bean burgers on toasted buns and top with mustard, tomato, and spinach. With ingredients like focaccia bread, mozzarella cheese, and a brown sugar and balsamic vinegar glaze, these burgers are one heck of a gourmet vegetarian treat. 1. Melt butter in a large saucepan over medium heat. Add onion and cook until translucent, about 4 to 5 minutes. Mix in brown sugar and balsamic vinegar. Reduce heat to medium-low, cover pan, and cook for 30 minutes, stirring occasionally. 2. Meanwhile, preheat grill to medium. Remove stems from mushrooms, brush with oil, and season with salt and pepper to taste. 3. Place eggplant slices on grill, cook for 2 minutes per side, then set them aside. Add mushrooms to grill, stem sides down, and cook for 6 to 7 minutes. Flip mushrooms and cook for another 4 minutes. 4. Top 4 mushrooms with red peppers and mozzarella, then cover each with a remaining mushroom, stem side down. (Stem sides should be facing each other.) 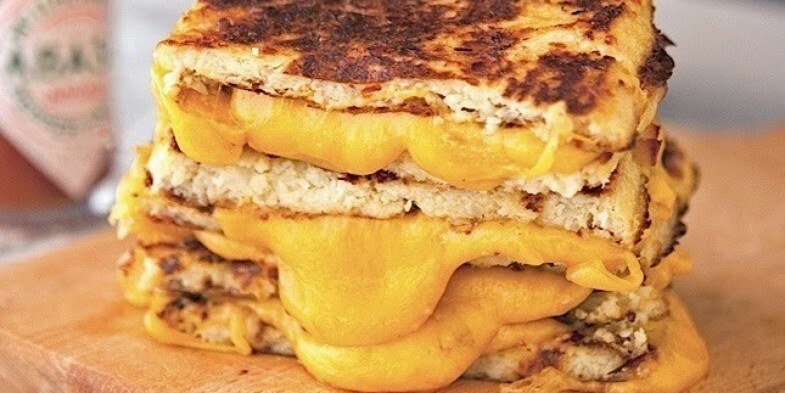 Cook for 2 minutes or until cheese has melted; set aside. 5. Meanwhile, slice focaccia bread in half lengthwise down the side, then slice each half into 4 squares. Toast squares on grill, 2 minutes per side. 6. Place each stuffed mushroom on a focaccia square; top with onions, eggplant, and focaccia square. These burgers are packed will belly-flattening monounsaturated fats. For superfast meals, keep cooked, cooled burgers frozen for up to 3 months. Simply microwave to reheat. 1. Combine the rice, broth, onion, carrot, and garlic in a large saucepan. Cover and bring to a boil over high heat. Reduce the heat so the mixture simmers. Cook for 5 minutes. Remove from the heat and set aside, covered, for 5 minutes. Spread on a baking sheet to cool. 2. Process the walnuts in the bowl of a food processor fitted with a metal blade until finely ground. Add the rice mixture, egg white, and seasoning. Pulse until the mixture sticks together. With wet hands, roll into 10 balls and then flatten into patties. 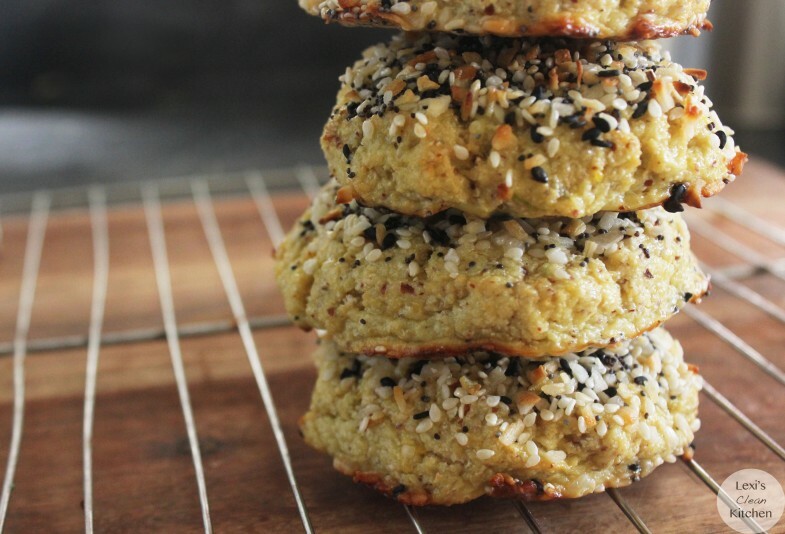 Place the sesame seeds on a shallow plate and press the patties into them. Sprinkle with the paprika. 3. Coat a nonstick griddle or large skillet with cooking spray and heat over medium heat. Cook the patties for about 3 minutes or until golden. Turn carefully and cook for about 4 minutes longer or until heated through. Place each patty on a bun with a tomato slice and lettuce leaf. If you’re in a hurry, serve this low-fat Tex-Mex treat with prepared salsa instead of lime cream. 1. To make the burgers: Place the peppers in a small bowl and cover with boiling water. Let soak for 10 minutes, or until softened. Drain, pat dry, and remove and discard the stems and seeds. Chop the flesh. 2. Coat a large no-stick skillet with no-stick spray. Add the onions and carrots. Cook over medium heat for 2 to 3 minutes, or until softened. Stir in the peppers, mushrooms, corn, parsley, cumin, and vinegar. Cook for 5 minutes, or until the vegetables are tender. Remove from the heat. 3. Place the beans in a large bowl. Use the back of a wooden spoon to mash about half of the beans. Stir in the cornmeal and the vegetable mixture until well-combined. Form into four 1″-thick patties. Roll in the bread crumbs to coat. 4. Wipe out the skillet and coat with no-stick spray. Place over medium heat until hot. Add the burgers and cook for 5 minutes per side, or until browned and hot throughout. 5. To make the lime cream: In a cup, combine the sour cream, lime juice, chili powder, and hot-pepper sauce. Serve with the burgers. A single spice makes these burgers anything but boring. Homemade veggie burgers come together in just minutes. Curry makes these a stand-out meatless dinner. Serve on whole-wheat buns with a salad or slaw on the side. 1. In a medium nonstick skillet over medium high heat, warm 1 tablespoon of the oil. Add the onion, curry powder, coriander, and fennel. Cook, stirring frequently, for about 2 minutes, or until the onion starts to soften. Add the mushrooms. Stir to mix. Cover and cook for about 4 minutes longer, or until the liquid pools in the pan. Uncover and cook for about 3 minutes more, or until the liquid is evaporated. 2. Transfer the mixture to the bowl of a food processor fitted with a metal blade. Add the chickpeas. Pulse until well chopped. Transfer to a bowl. Add the carrot, walnuts, cilantro, salt, and pepper and mix well. 3. Lightly dust hands with flour. Shape the mixture into six 4″ wide patties. 4. In a large skillet over medium heat, warm the remaining 1 tablespoon oil. Place the patties in the pan. Cook for about 4 minutes, or until browned on the bottom. Flip and cook for about 4 minutes longer, or until heated through. 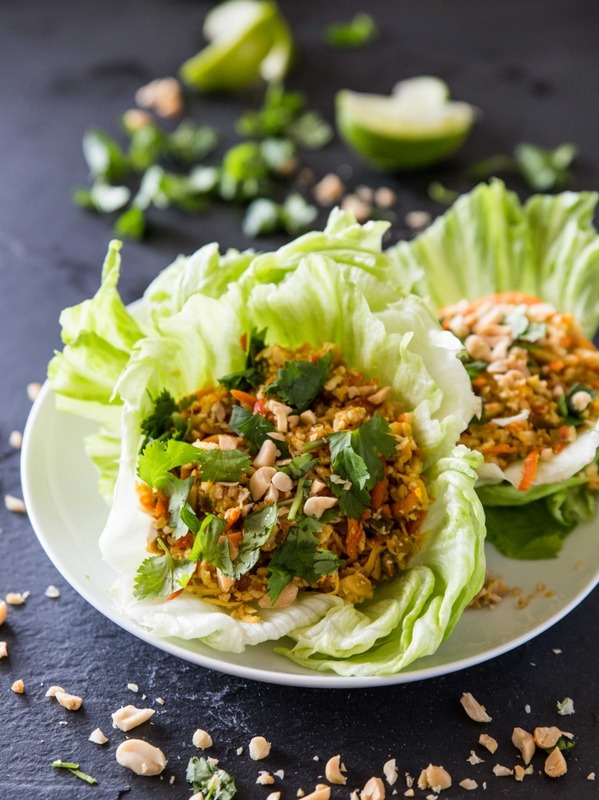 This recipe was developed by vegan ultra marathoner runner Scott Jurek, so rest assured that these protein-packed burgers will power up any athletic activity you have planned for the weekend. Extra uncooked patties can be frozen on wax paper in plastic bags or wrapped individually in aluminum foil, making for a quick dinner or wholesome burger for the next barbecue. *To make the bread crumbs, you’ll need about half of a loaf of day-old bread (like Ezekiel 4:9). Slice the bread, then tear or cut into 2- to 3-inch pieces and chop in a food processor for 1-2 minutes, until a fine crumb results. The walnuts can also be chopped in the food processor with the bread. 1. 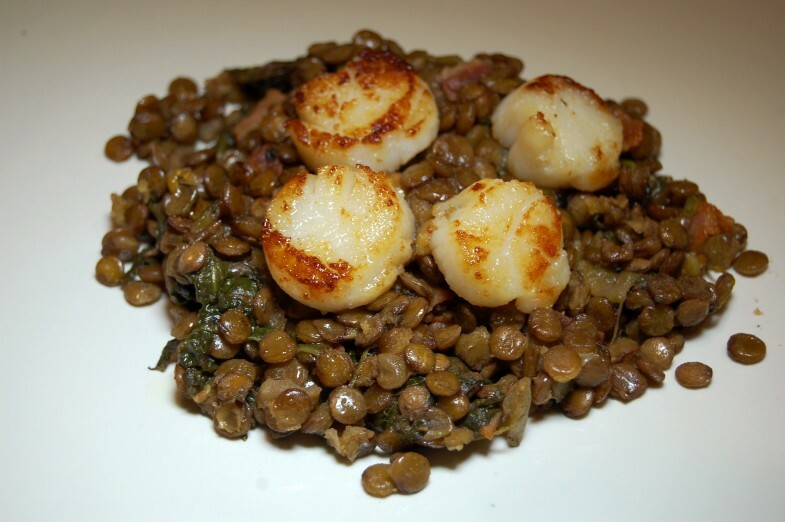 In a small pot, bring the lentils, water, parsley, 1 garlic clove, and ¼ cup of the onion to a boil. Reduce heat and simmer, partially covered, for 35 to 40 minutes, until the water is absorbed and the lentils are soft. 3. Saute the remaining onion, remaining garlic, the mushrooms, and greens in the oil for 8 to 10 minutes, then set aside. 4. Remove the lentils from the heat, add the vinegar and mustard, and mash with a potato masher or wooden spoon to a thick paste. 5. 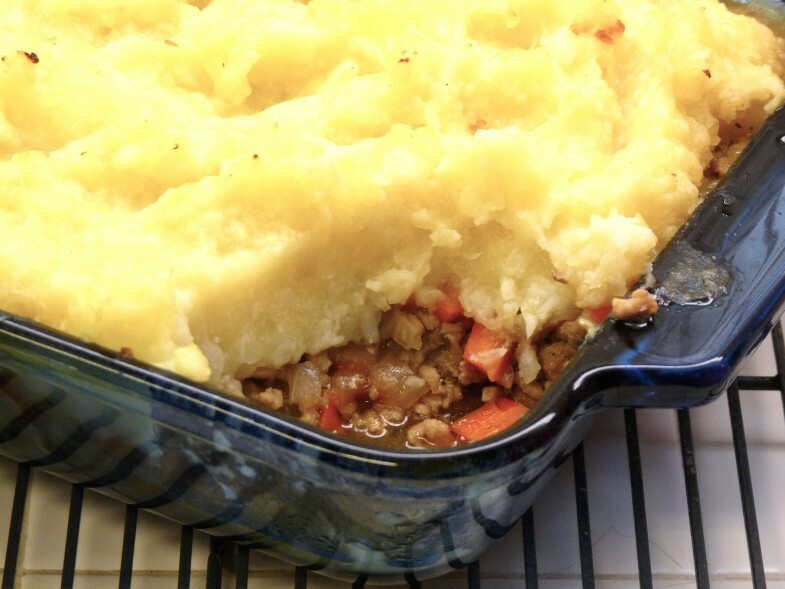 In a large mixing bowl, combine the lentils, sauteed veggies, and bread crumb mixtures, and mix well. 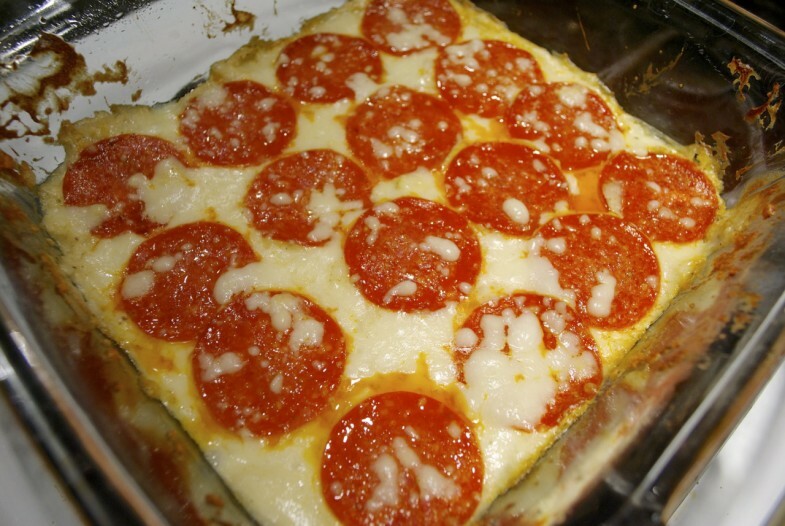 Cool in the refrigerator for 15 to 30 minutes or more. 6. Using your hands, form burger patties to your desired size and place on waxed paper. Lightly fry in a seasoned skillet, broil, or grill until lightly browned and crisp, 3 to 5 minutes on each side. 1. Put all ingredients in a food processor and pulse until combined, 2 to 3 minutes. Form into 4 patties. 2. Mist a piece of aluminum foil with cooking spray and place foil on the grill. Cook patties on foil for 5 minutes, flip, then cook 5 minutes more. 3. To serve, top each patty with 3 tablespoons Balsamic Onion Jam (recipe: Healthy Burger Toppings). In the food world, the biggest celebrity of all might be kale — the Shakira of salads, the Lady Gaga of leafy greens. It’s universally recognized that kale anything–kale chips, kale pesto, kale face cream — instantly imparts a health halo. Even 7-Eleven is making over its image by offering kale cold-pressed juices. And yes, kale has plenty of benefits — including high levels of folate and more calcium, gram for gram, than a cup of milk. 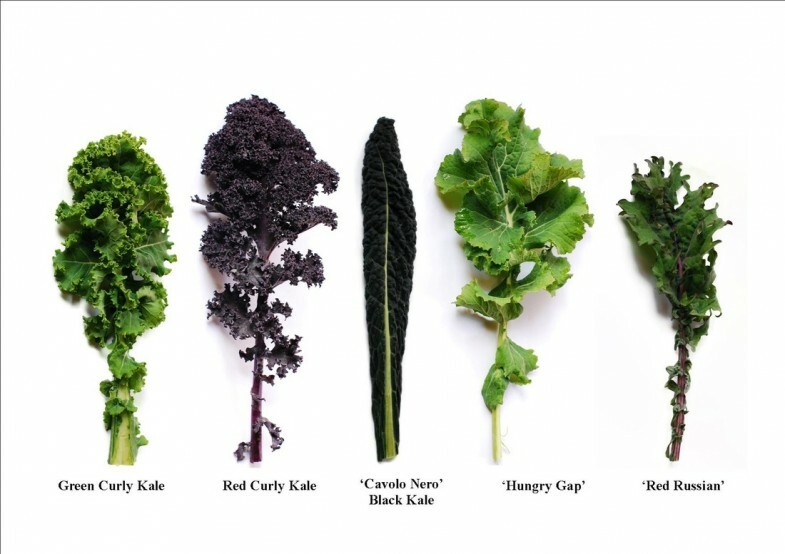 Still, kale’s actually not the healthiest green on the block. In fact, in a recent report published by the Centers for Disease Control that ranked 47 “powerhouse fruits and vegetables,” kale placed only 15th (with 49.07 points out of 100 for nutrient density)! 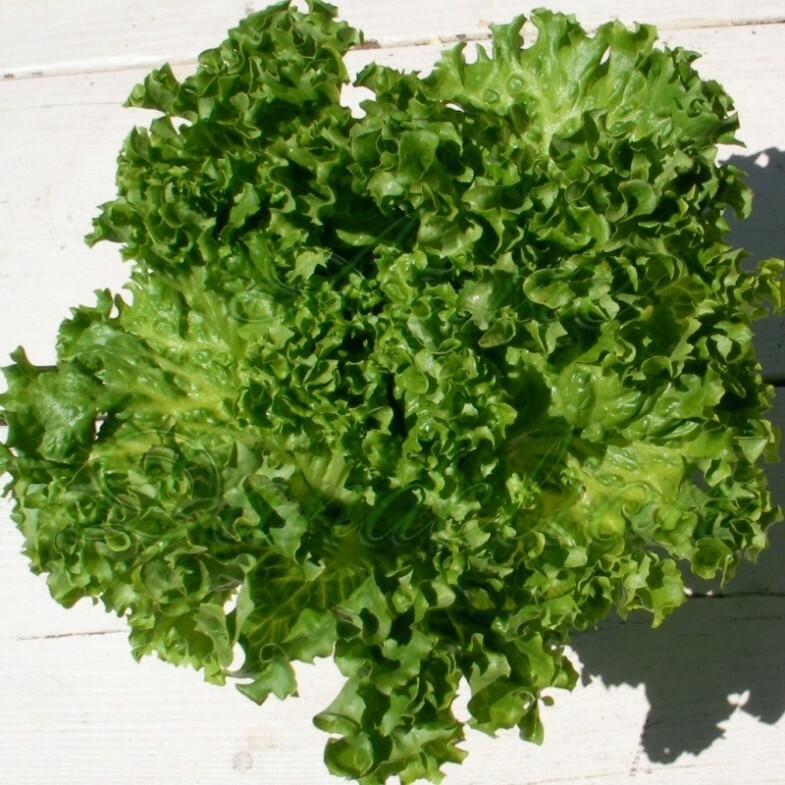 Here’s a roundup of the 10 leafy green cousins that researchers say pack a greater nutritional wallop. Read ’em, eat ’em, and reap the benefits. A staple vegetable of Southern U.S. cuisine, collard greens also boast incredible cholesterol-lowering benefits — especially when steamed. A recent in vitro studypublished in the journal Nutrition Research compared the effectiveness of the prescription drug Cholestyramine to steamed collards. 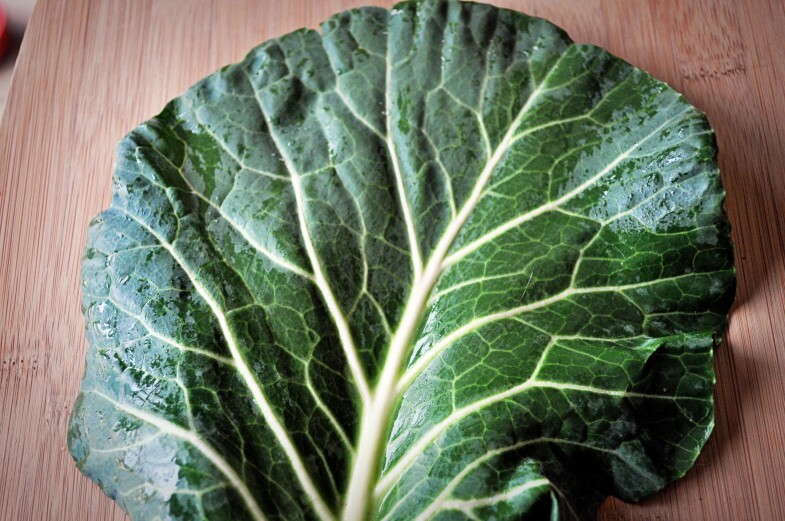 Incredibly, the collards improved the body’s cholesterol-blocking process by 13 percent more than the drug! Of course, that won’t do you any good if you insist on serving them with ham hocks. 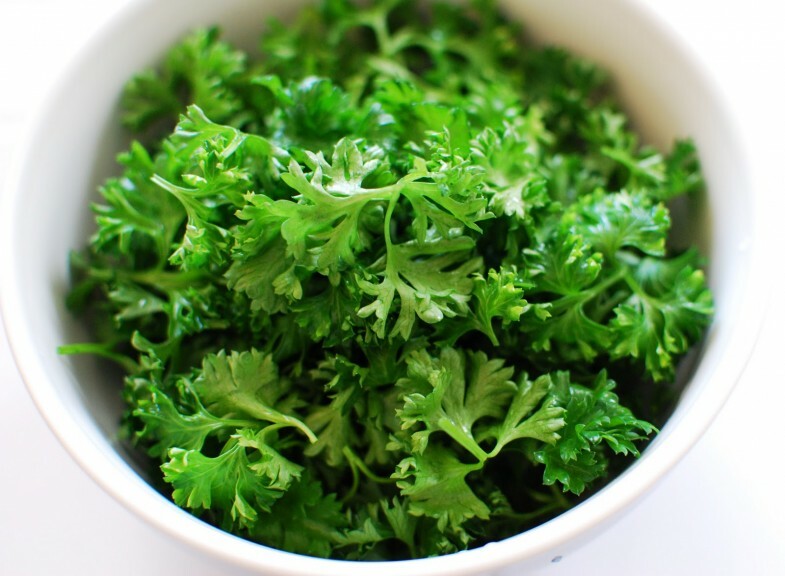 Yes, that leafy garnish that sits on the side of your plate — the one they throw away after you eat the rest of your meal — is a quiet superfood, so packed with nutrients that even that one sprig can go a long way toward meeting your daily requirement for vitamin K. Moreover, research suggests the summer-y aroma and flavor of chopped parsley may help control your appetite. A study in the journal Flavour found participants ate significantly less of a dish that smelled strongly of spice than a mildly scented version of the same food. Adding herbs, like parsley, creates the sensory illusion that you’re indulging in something rich — without adding any fat or calories to your plate. 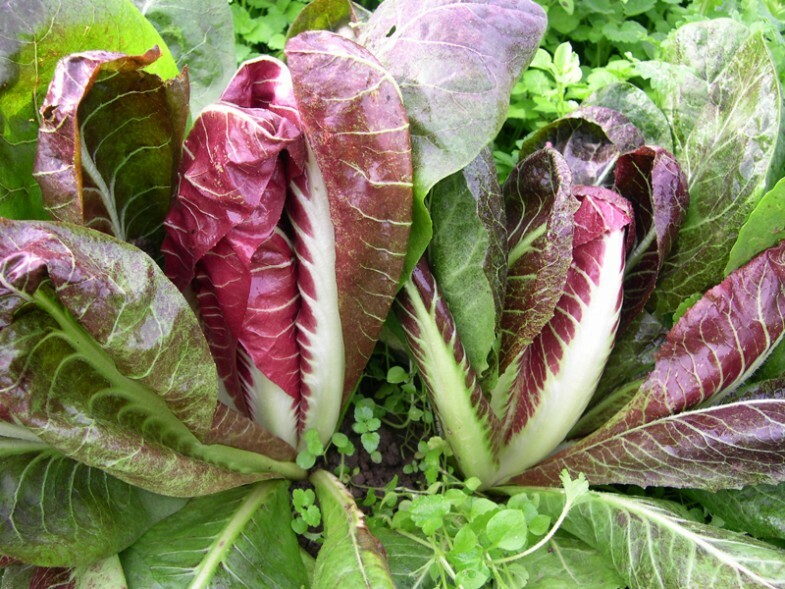 Chicory is a family of bitter greens, but its most well-known member is radicchio, the small red or purple leaf that comes in a head about the size of a softball. It’s one of the best dietary sources of polyphenols — powerful micronutrients that serve a role in preventing disease. A study in the Journal of Nutrition found that people who consume 650 mg a day of polyphenols have a 30 percent chance at living longer than those who consume less than that. 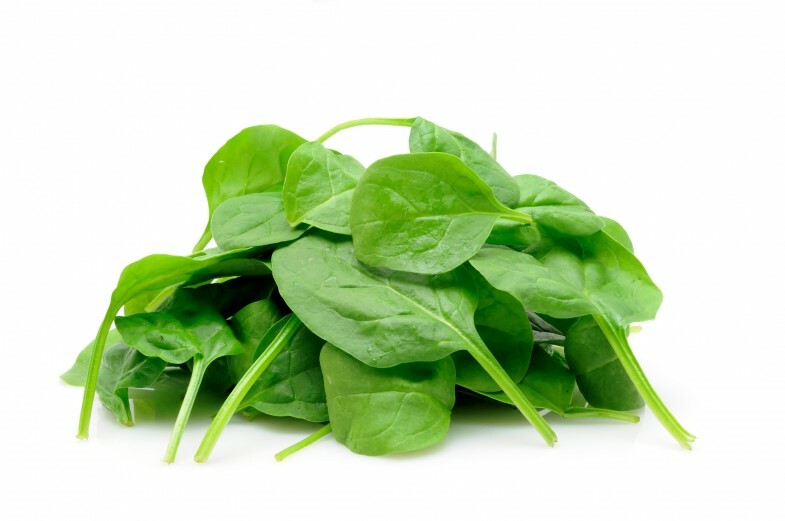 A cup of chicory leaves clocks in at about 235 mg (double that of spinach! 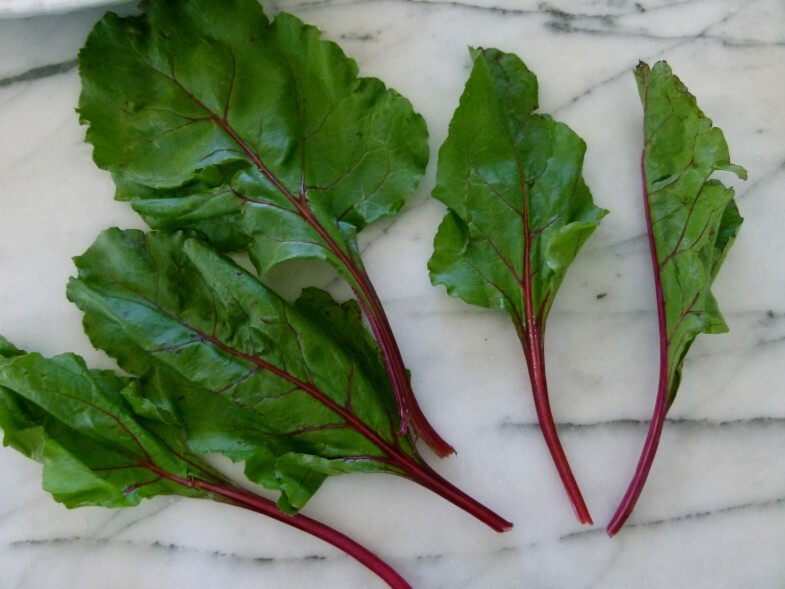 ), so consider adding a little leafy red into your leafy greens. Yes, the stuff they cut off and throw in the garbage before charging you an arm and a leg for “beet salad.” A scant cup of the bitter green serves up nearly 5 grams of fiber–that’s more than you’ll find in a bowl of Quaker oats! Researchers at the University of Leeds found that risk of cardiovascular disease was significantly lower for every 7 grams of fiber consumed. Try them in stir frys and eat to your heart’s content! 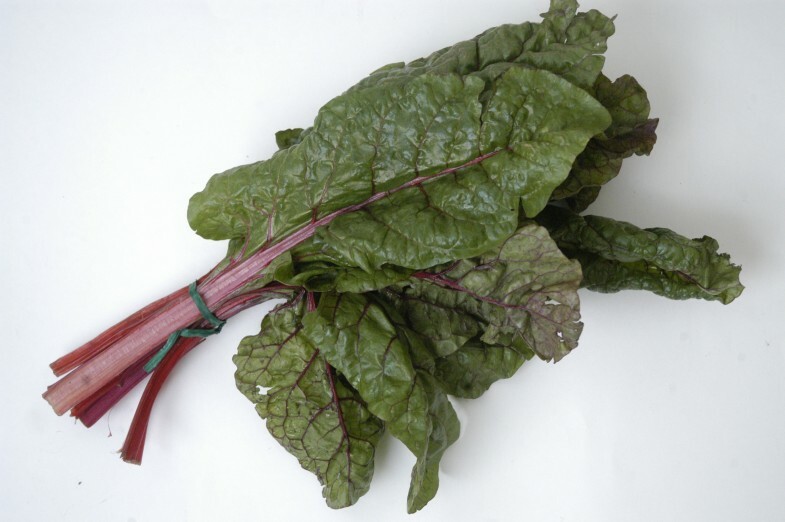 Chard. Sounds like “burnt.” It’s not as fun a name to drop as, say, “broccolini,” but it might be your best defense against diabetes. Recent research has shown that these powerhouse leaves contain at least 13 different polyphenol antioxidants, including anthocyanins-anti-inflammatory compounds that could offer protection from type 2 diabetes. Researchers from the University of East Anglia analyzed questionnaires and blood samples of about 2,000 people and found that those with the highest dietary intakes of anthocyanins had lower insulin resistance and better blood glucose regulation. 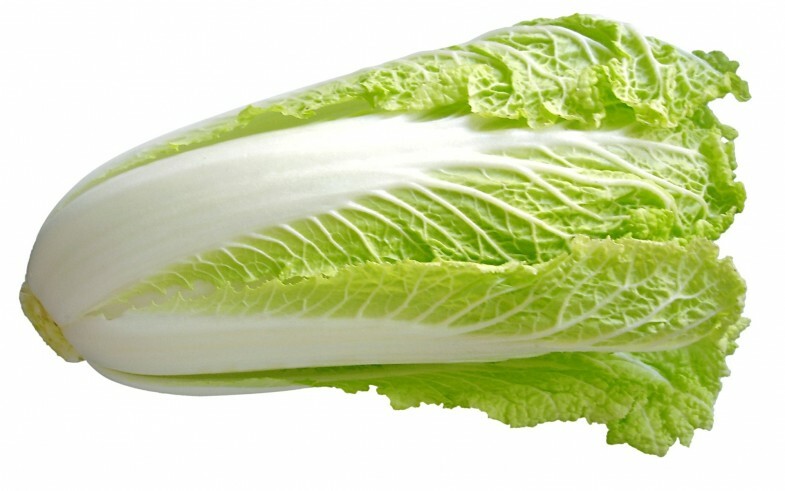 Taking the silver medal in the powerfood Olympics is Chinese cabbage, also called Napa or celery cabbage. Rich sources of highly available calcium and iron, cruciferous vegetables like the cabbage have the powerful ability to “turn off” inflammation markers thought to promote heart disease. 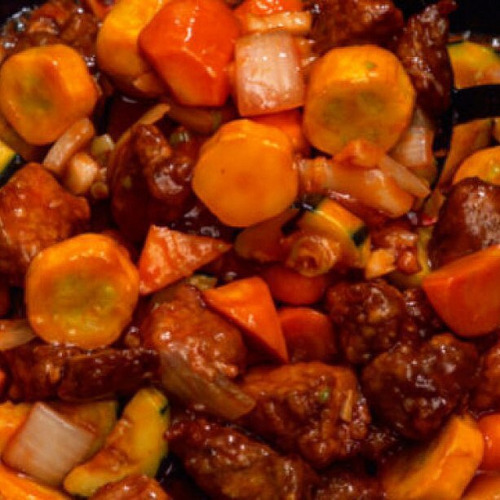 In a study of more than 1,000 Chinese women, published in the Journal of the Academy of Nutrition and Dietetics, those who ate the most cruciferous vegetables (about 1.5 cups per day) had 13 percent less inflammation than those who ate the fewest. The top dog, the unrivaled champion, the chairman of the cutting board, watercress may also be the closest thing yet to a true anti-aging food. Gram for gram this mild-tasting and flowery-looking green contains four times more beta carotene than an apple, and a whopping 238 percent of your daily recommended dose of vitamin K per 100 grams — two compounds that keep skin dewy and youthful. The beauty food is also the richest dietary source of PEITC (phenylethyl isothiocyanate), which research suggests can fight cancer. 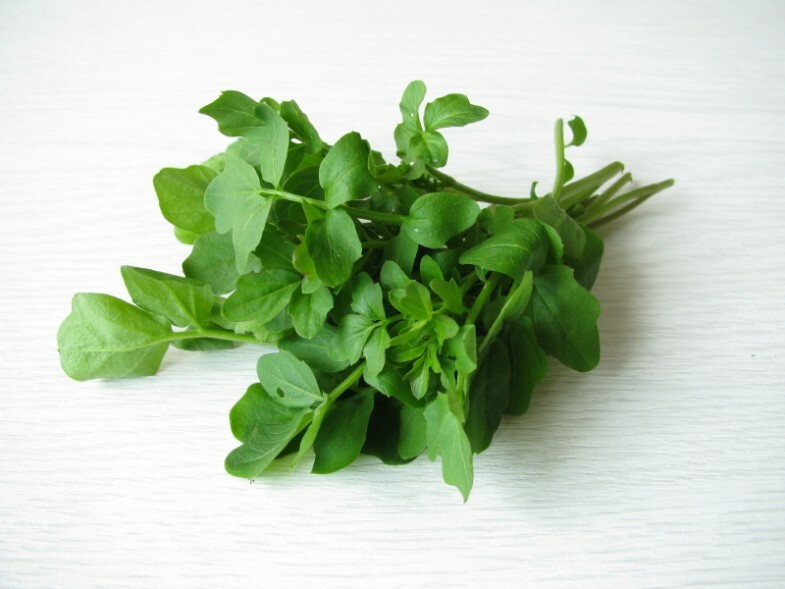 Results from an eight-week trial published in the American Journal of Clinical Nutrition suggest daily supplementation of 85 grams of raw watercress (that’s about two cups) could reduce DMA damage linked to cancer by 17 percent. Exposure to heat may inactivate PEITC, so it’s best to enjoy watercress raw in salads, cold-pressed juices, and sandwiches. Oregano And Rosemary Can Lower Blood Sugar Plus More Major Benefits! Diabetes, which currently affects more than 8 percent of the American population, is increasing at an unprecedented rate. According to the Centers for Disease Control, the incidence of this disease skyrocketed over the last three decades, rising 176 percent in the years 1980 through 2011. Now, more than ever, a need for safe and effective treatment exists, and researchers are saying that a pair of fragrant, flavorful Mediterranean herbs may hold the key. In a study conducted by researchers from the American Chemical Society and published in Journal of Agricultural and Food Chemistry, rosemary and oregano were found to inhibit an enzyme, dipeptidyl peptidase IV, that promotes the secretion of insulin. 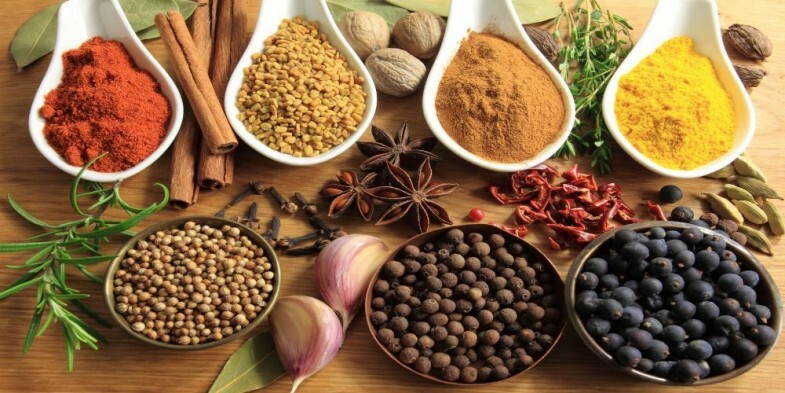 Protein tyrosine phosphatase – which plays a role in insulin signaling – has led researchers to conclude that the herbs could be useful in preventing and treating diabetes. 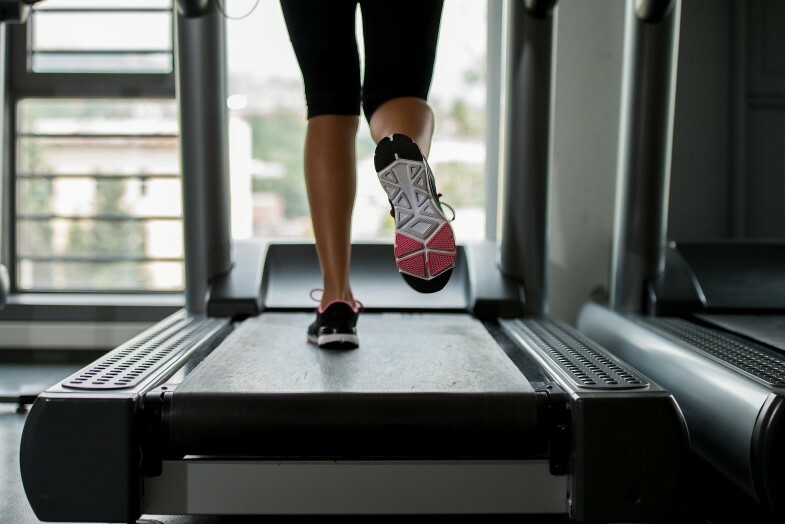 Lead author and researcher Elvira Gonzalez de Mejia noted that although some cases of diabetes can be controlled through diet and exercise, many patients lack the discipline to follow a successful regimen. In addition, anti-diabetic drugs can be costly, as well as featuring negative side effects. 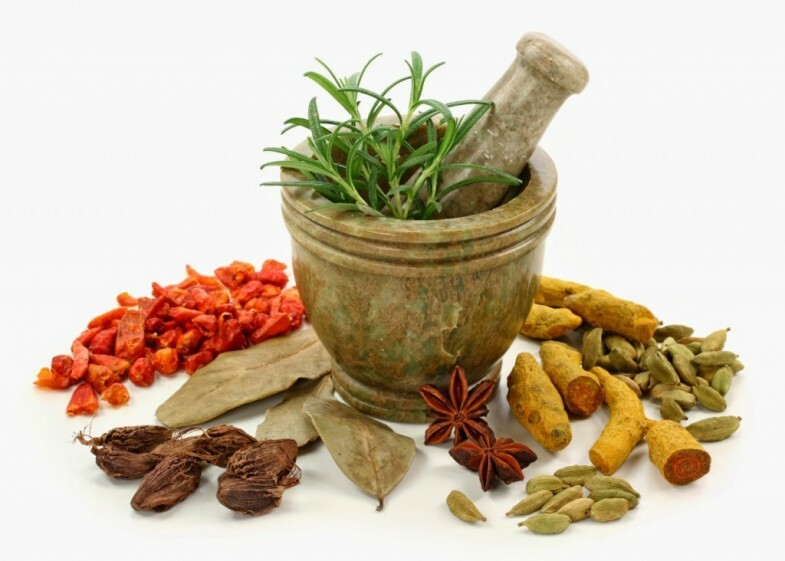 On the other hand, herbs offer a safe, natural and cost-effective method of lowering blood glucose. What are the beneficial properties of rosemary and oregano? If you don’t have access to fresh rosemary and oregano, no worries – although, of course, it is always preferable to use fresh, organic herbs whenever possible, the dried “supermarket” version is just as effective when it comes tolowering blood sugar. 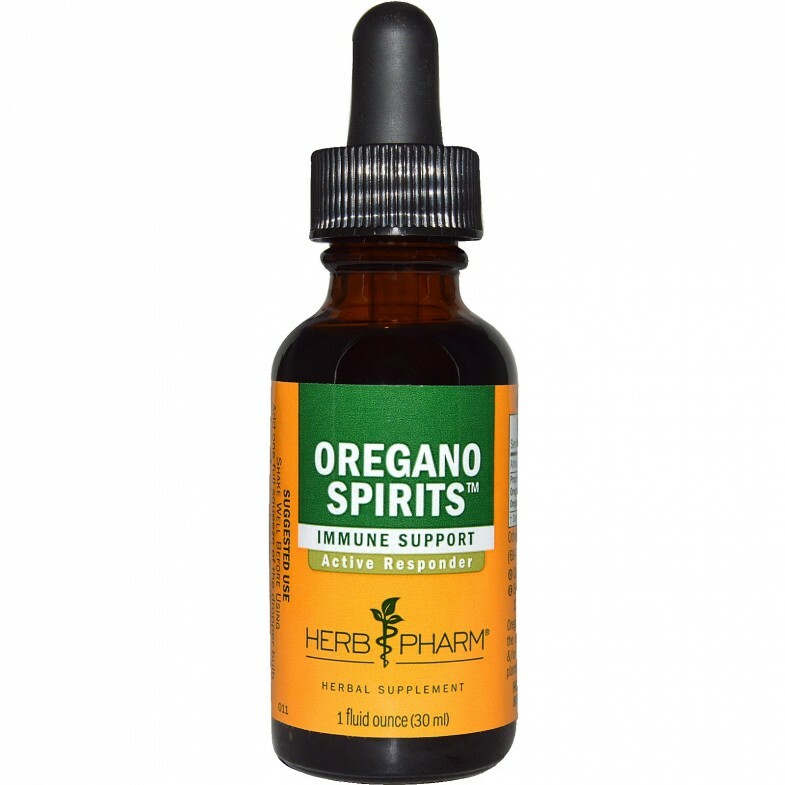 The researchers tested the effects of both greenhouse-grown and commercial dried extracts. Not surprisingly, they found that the greenhouse version of the herbs had higher levels of beneficial polyphenols and flavonoids. However, the commercial dried extracts functioned just as well to lower blood sugar. Of the different varieties of greenhouse and commercial herbs tested by the researchers, commercial Greek oregano – scientifically known as origanum vulgare – commercial Mexican oregano, or lippia graveolens – and both greenhouse and commercial rosemary – rosmarinic officinalis – performed best. Courtesy of their high levels of phytochemicals, both rosemary and oregano are potent inflammation fighters. This pair of herbs is particularly rich in gallic acid, with some samples containing as much 430 micrograms per milligram of dried weight. Gallic acid, with confirmed anti-fungal, anti-viral, and chemopreventive properties, is first and foremost a stunningly effective antioxidant. In a new animal study published in 2014 in International Journal of Inflammation, gallic acid not only had a beneficial effect on mice with laboratory-induced sepsis, it completely reversed lipid peroxidation – the damaging degradation of fats. 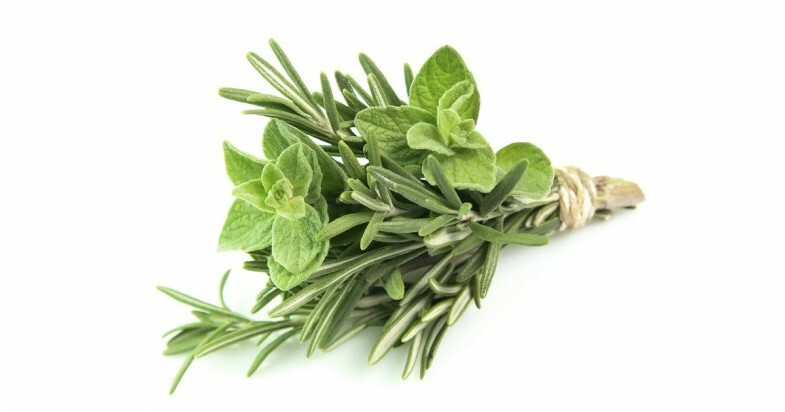 In addition, both rosemary and oregano are rich in antioxidant rosmarinic acid, beneficial volatile oils such as cineol, camphene and borneol, and the antioxidant vitamins A and C.
Rosemary’s beneficial effects aren’t limited to inhibiting diabetes and promoting healthy blood sugar levels. By reducing oxidative stress in the part of the brain that controls learning and memory, rosemary may help to alleviate cognitive deficits that accompany aging. According to recent animal studies conducted at Saint Louis University School of Medicine, several enhanced proprietary rosemary and spearmint extracts improved the cognitive performance of mice with age-related cognitive decline. The research team expressed hope that the herbs could be used to reduce cognitive problems occurring in the early stages of Alzheimer’s disease. If you are living with arthritis, there is little that you take for granted. Like getting a good night’s sleep or brushing your teeth, buttoning your pants, tying your shoes… holding your loved ones hand. 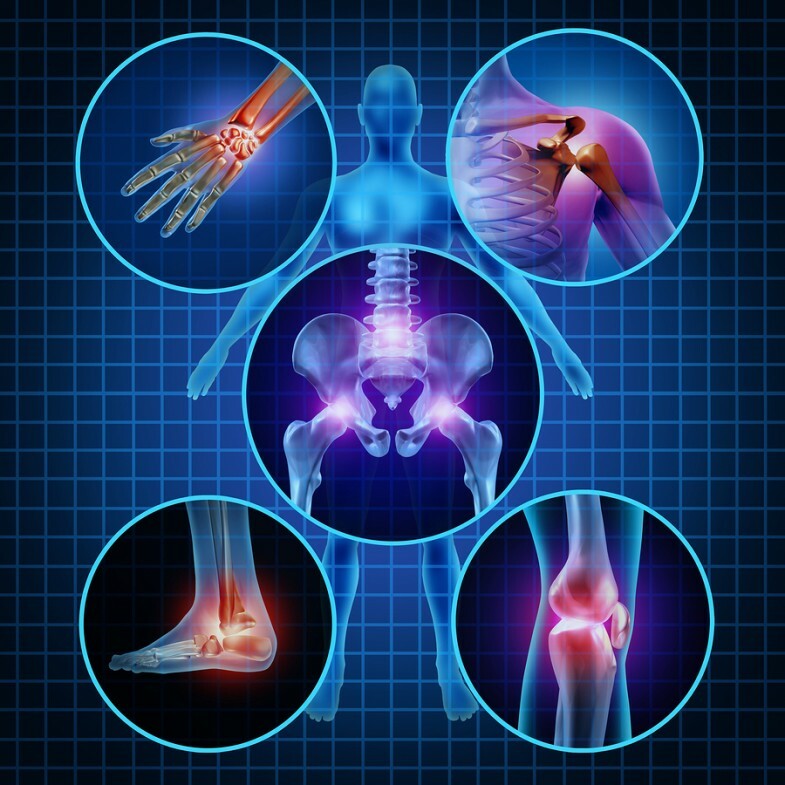 The acute pain brought on by inflammation of the joints, known as Rheumatoid Arthritis (RA), is debilitating. The effects, if left untreated, can leave you feeling depressed and isolated. 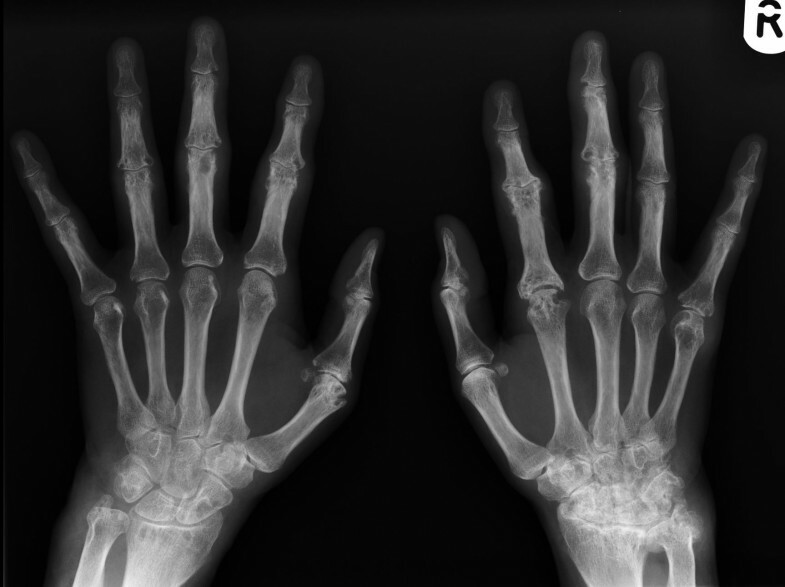 1.3 million Americans are affected by Rheumatoid Arthritis. Though it is still unclear as to the actual cause, RA is an autoimmune disease. Your body’s cells mistake your own proteins as foreign intruders. Immune cells – called lymphocytes – react to this “intruder”, causing the release of cytokines. Cytokines are like chemical messengers that trigger more inflammation and destruction, which affects the synovial capsule and surrounding tissue, causing inflammation. Over time, the chronic inflammation leads to joint damage and deformities, fatigue, loss of appetite and stiffness. Though there is no cure for RA, there are ways you can make the side-effects less severe. 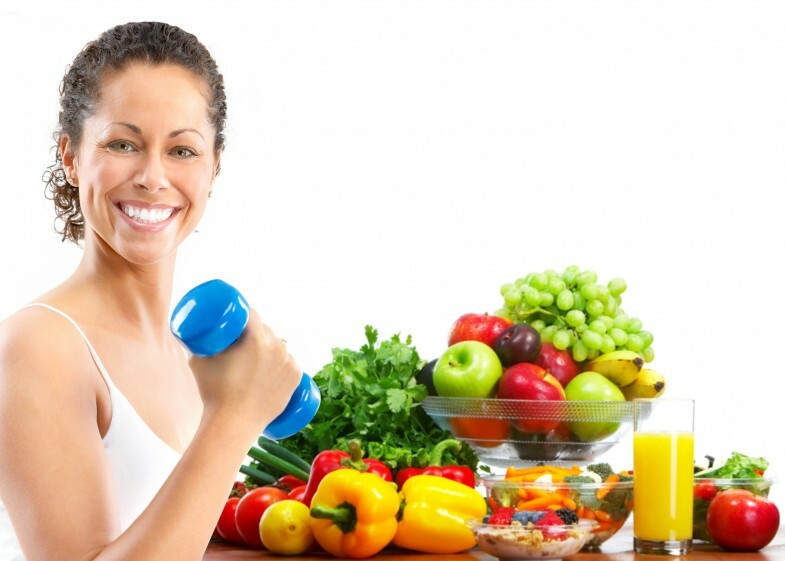 As with most diseases that cause inflammation, a change in diet along with daily exercise is a great start! And adding a juice regimen will help you get back on track to living a normal life. The following 5 recipes are easy to make with ingredients you can find in your local supermarket. They’re healing and delicious! Understand that proper nutrition is vital, even if you are in optimal health. If you are seeking medical attention for your RA symptoms, discuss your plans to include a juicing regimen with your doctor before you begin. 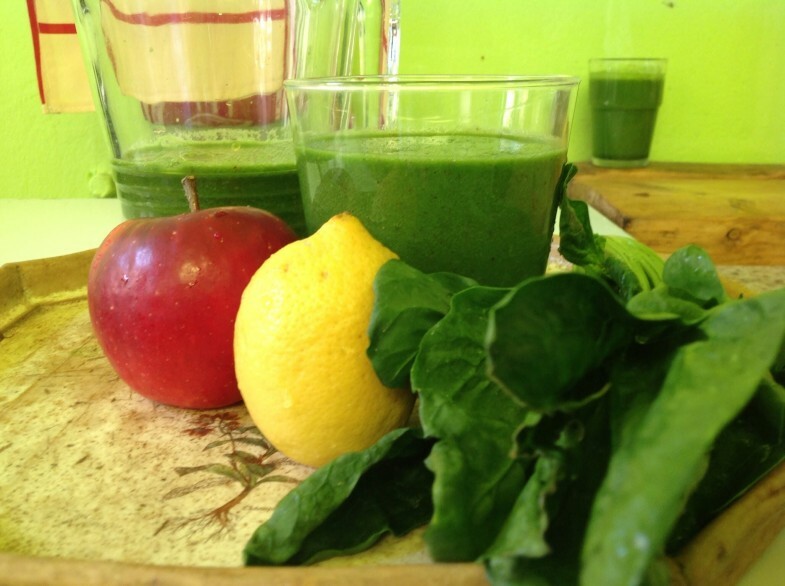 If you are new to juicing and do not own a juicer, DO NOT be overwhelmed by all of the choices. 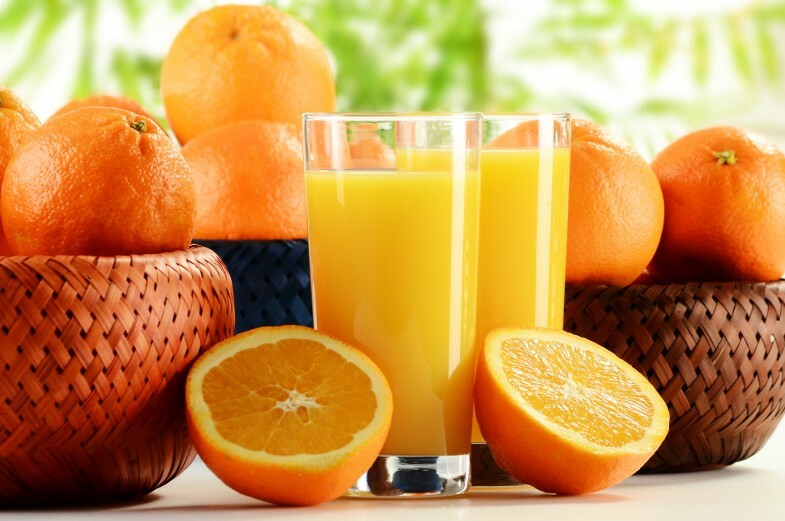 First, decide if you want a centrifugal (most common, high-speed juicer, creates heat which weakens the quality of the juice, quick cleanup, effectively juices wide range of produce except wheatgrass) or a masticating juicer (slower speed, higher quality juice, juices wheatgrass, quieter motor, additional attachments for smoothies, nut butters). 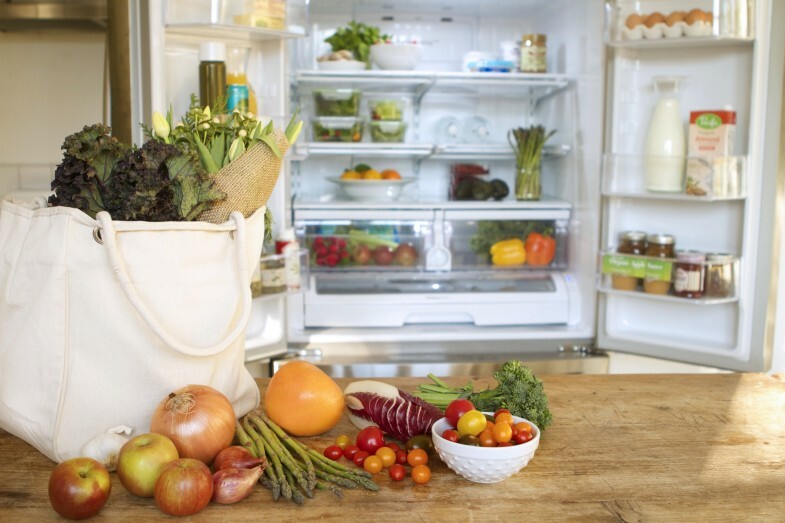 Once you have your juicer – clear out some space in your fridge for produce. I suggest you make the space by getting rid of foods that are highly processed and high in sugar. 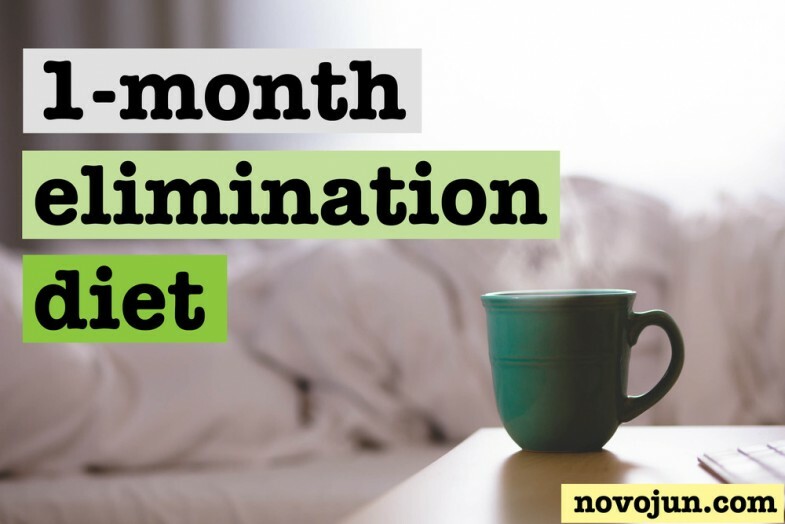 You may even want to try an elimination diet. An Elimination Diet is just like it sounds. You remove certain foods from your diet for 3-4 weeks and then slowly begin to introduce the foods back, one at a time. The ones that aggravate your RA or your gut, you know to avoid. Start removing foods that are known to cause inflammation: dairy, red meat, gluten, soy, corn and nightshade vegetables (tomato, potato, mushrooms, eggplants, peppers). Toxins in our environment and in our food supply can also increase inflammation and it is best to go organic when available. Refer to the Dirty Dozen and Clean 15 list to know which conventional foods contain the highest amount of toxins and which are the cleanest choices. Benefits of juicing can be noticed immediately. More energy, heightened sense of awareness and mental clarity, digestive regularity, just to name a few. Inflammation and relief from pain associated with RA can take upwards of 6 weeks before you begin to feel noticeable differences. Be patient and be consistent! The following are recipes that are high in antioxidants, Vitamin C and Beta Carotene. They are proven to help your body decrease inflammation and make you feel awesome! 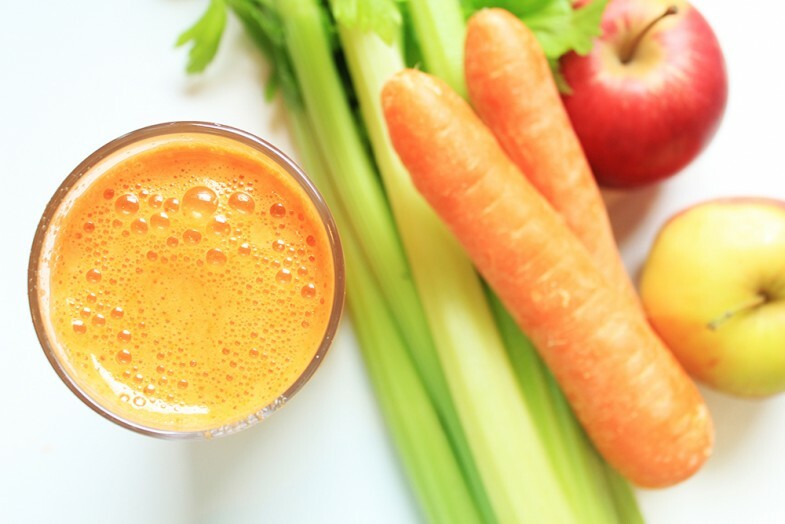 An extra bonus – juicing daily helps to rehydrate skin, making you look younger, brighter and more refreshed. If that doesn’t sell you alone, then keep reading! 2. Add every ingredient into the blender. 3. Transfer to a clean, glass container. 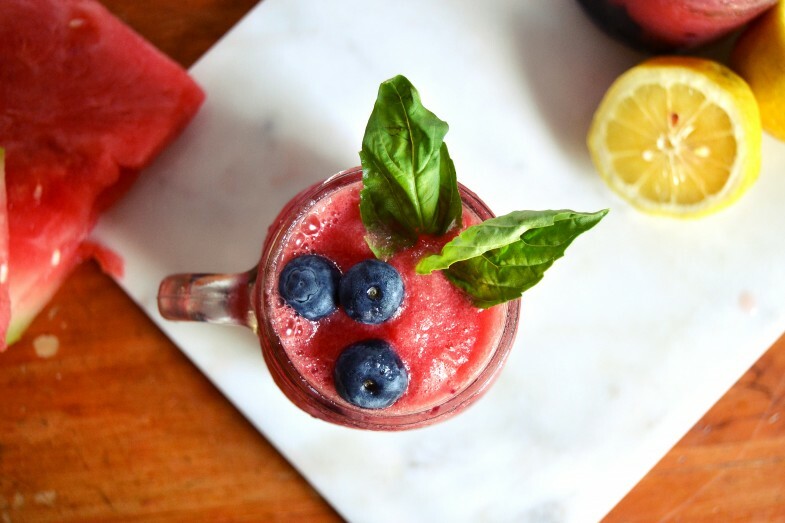 Watermelon is an anti-inflammatory powerhouse because of its high content of beta carotene and vitamin C. Add the antioxidants in the superfood, blueberries and you have a “mocktail” that is sure to get you feeling and looking your best in no time. 3. Add everything to the juicer, extracting the juices properly. 4. Transfer to a clean, glass container. Unlike the tequila sunrise, this is one you can drink and feel good about in the morning! Ginger is a well known anti-inflammatory, as is turmeric. But so is pear. Combine the effects of Vitamin C and Beta Carotene, this concoction will have you running off into the sunset, feeling like a million bucks! Delicious blend of antioxidants and anti-inflammatory goodness in every drop. This drink is perfect for newbies who are looking for baby steps. 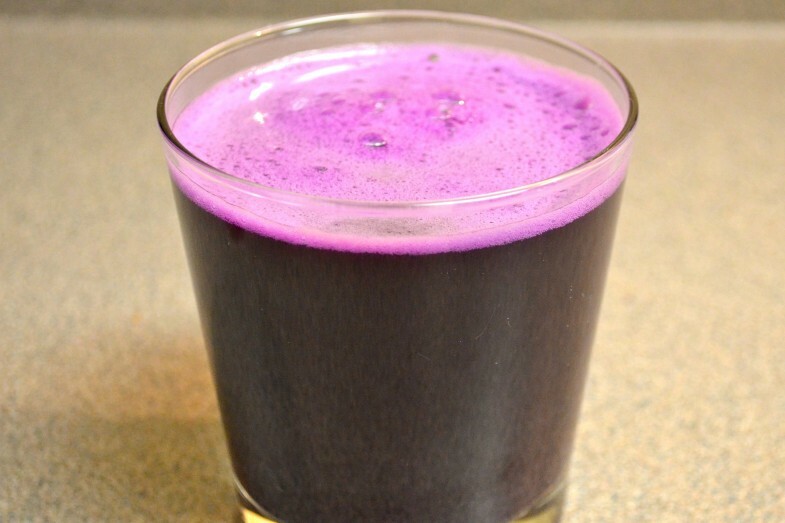 Not only is this drink the perfect thing for an afternoon in the sun, the antioxidant power of blueberries combines with Anthocyanidin, a flavonoid in strawberries, which is a very powerful protector against inflammation. 1. Wash and prep all ingredients; feed into your juicer and enjoy! What makes this the perfect juice is the combination of anti-inflammatory power of ginger, the Vitamin C in lemon, Beta Carotene in carrots and the high-alkalinity property of spinach. It also juices to a beautiful hue of magenta. *Adding a high, quality blend of Omega 3 Fatty Acids, such as fish oil, to the above juices will add an extra punch of support against inflammation. Look for high quality blends that contain 3 grams of both DHA and EPA. There are vegan formulas, which are also highly effective if you require a plant-based diet. 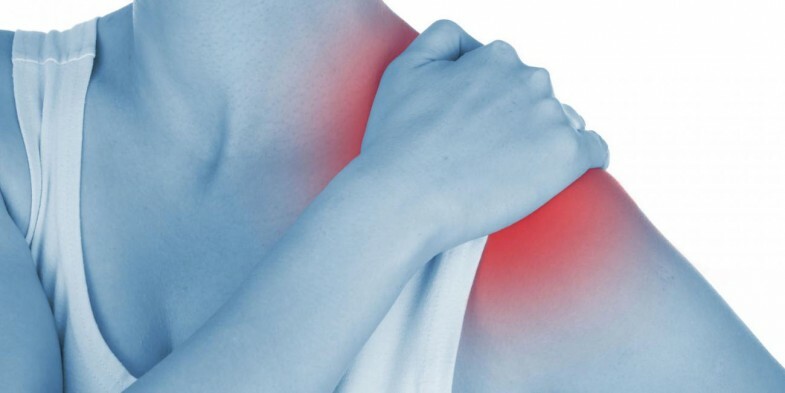 Chronic pain affects many people and fibromyalgia is the most common form. This chronic condition is chatacterized by symptoms like muscle pain, fatigue, depression, and sleeping disorders. Latest studies suggest that the central sensation, in which neurons in the spinal cord are sensitized by inflammations or cell damage, could get involved in the same way people with fibromyalgia process pain. The food you eat may contain chemicals that trigger the neurotransmitters, which increases the sensitivity. High insulin levels affect the condition, and thus worsen pain and inflammation. Reduce the sugar intake and the foods that contain hidden sugar. Sugar cravings appear once in a while, but focus on eating more fresh fruits. 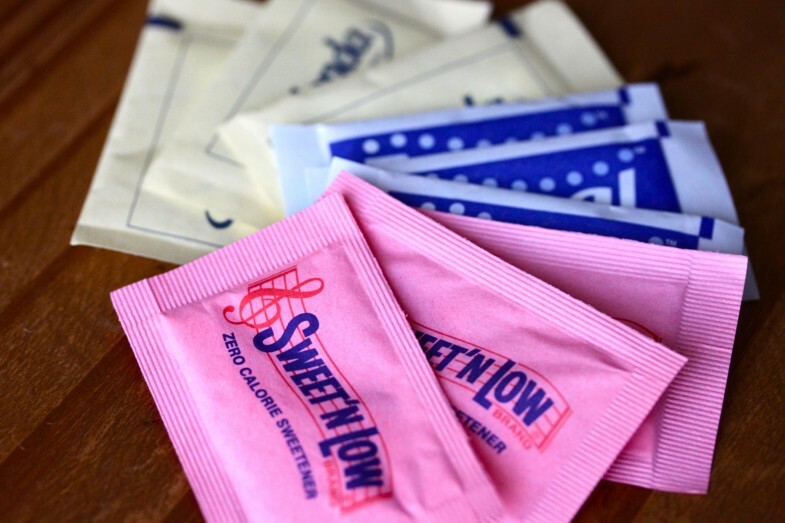 Aspartame, sorbitol and xylitol are sugar-free artificial sweeteners, but they contain compounds that transform sensitivity to pain and also trigger irritable bowel syndrome. Making your own food and eating whole foods is the best way to avoid hidden sugars. Scientists associate chronic pain and fibromyalgia with insufficient sleep and fatigue. People drink too much coffee so they can go through the day more easily. 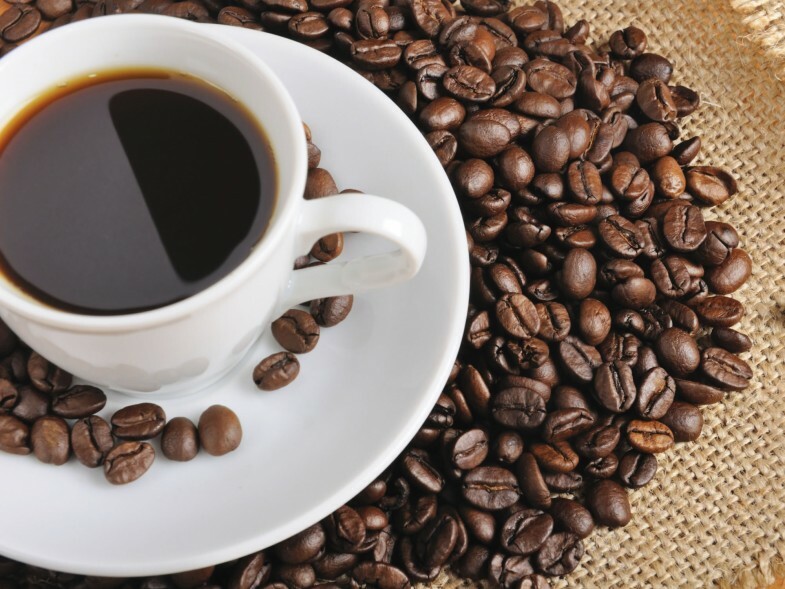 Coffee provides the desired effect, but in the long run it can largely affect your good night’s sleep. These are contained in baked goods and pastry. Regular consumption of these products stimulate the growth of yeast and fungus, and thus increase the pain. 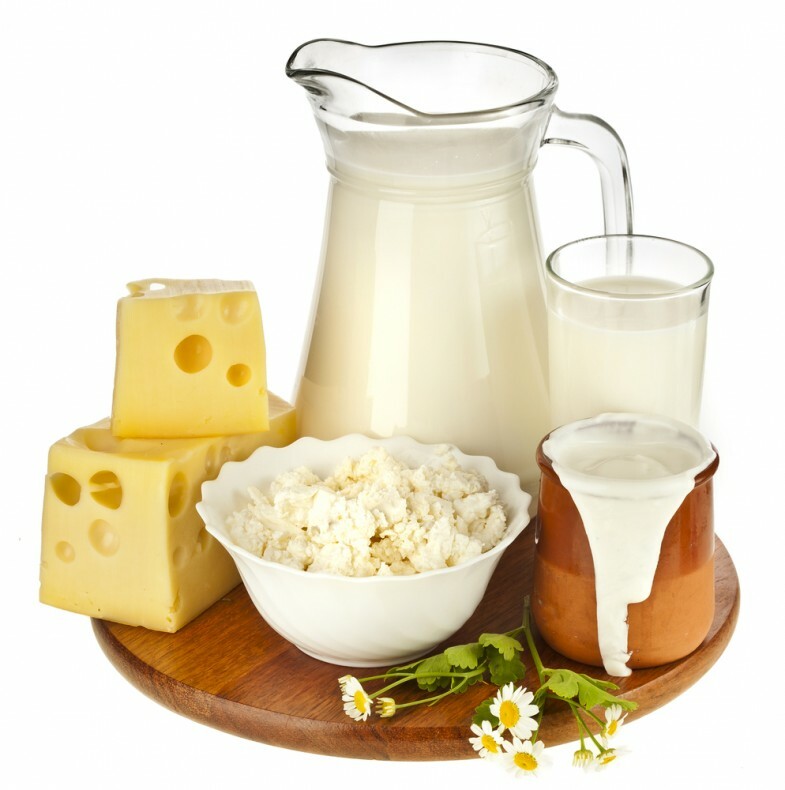 Dairy and many other animal products contain a protein that worsens arthritis and fibromyalgia. It irritates the tissue around the joints, which worsens the pain. Think about going vegan, as this decision has helped many people to cure chronic diseases. 5. Say No To Refined Carbohydrates. Carbohydrates, similar to sugar, can increase insulin levels and worsen any chronic condition. Always choose low-carb, low-sugar foods and often eat plant-based meals. 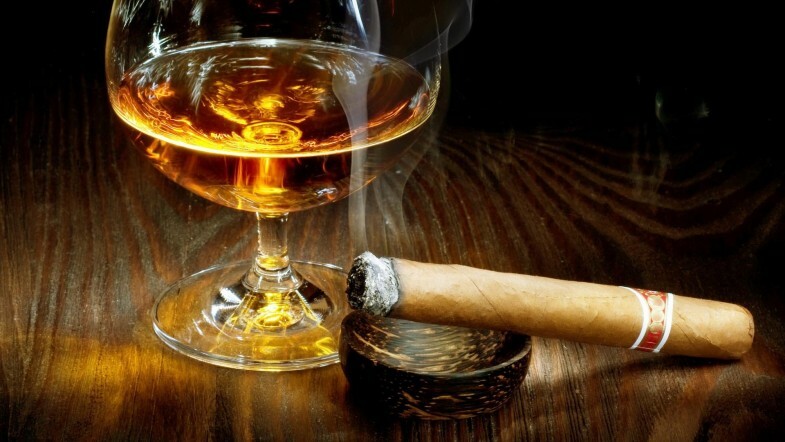 Statistics has shown that smokers have a higher risk of rheumatoid arthritis, and people who consume alcohol regularly are more likely to develop gout. Monosodium glutamate (MSG) and other food additives cause additional problems for people with chronic pain, by stimulating pain receptors and increasing pain. Producers add MSG to fast food and pre-packaged foods to enhance their taste. Stomach fat can be due to an array of factors. Lack of exercise, over sleeping the afternoons, as well as an unhealthy diet and lifestyle may collectively lead to this particular state. Here are the surprising foods for quickly shrinking your tummy, which will help you shed inches and pounds and also to banish the bloat. 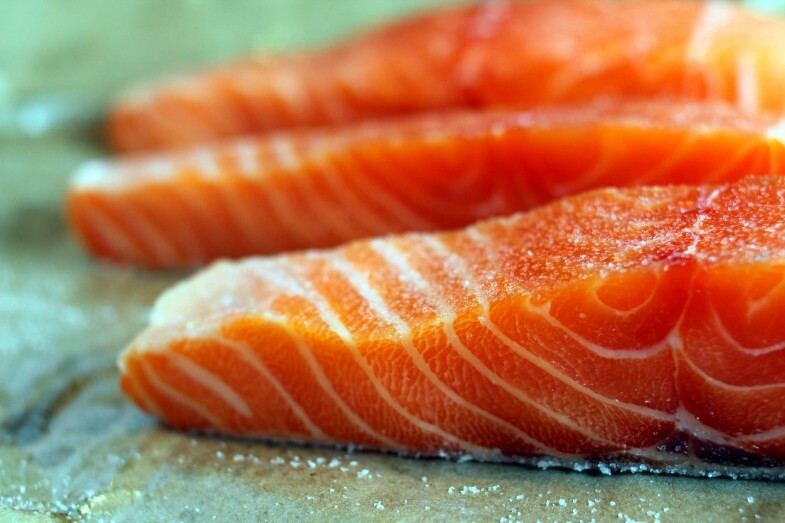 Salmon: Salmon is an excellent source of Vitamin D. Insufficient blood levels of Vitamin D have been linked to obesity, including abdominal obesity. The omega-3 fatty acids in salmon and other fatty fish can also help flatten your belly. 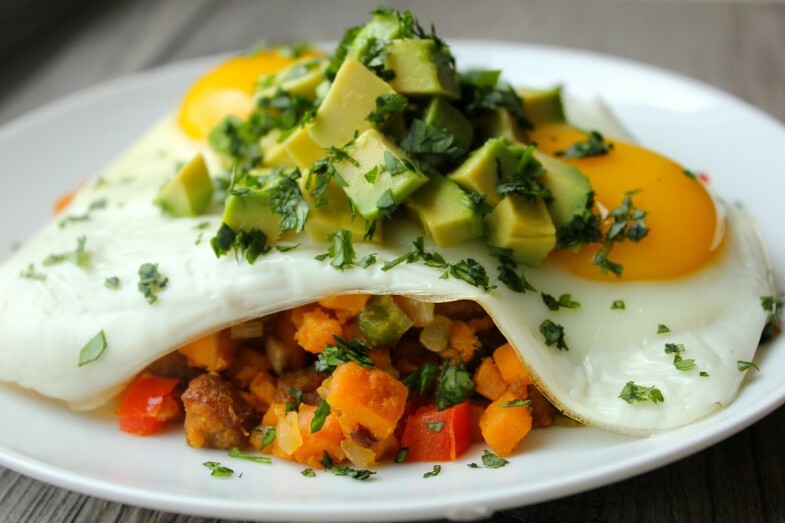 Eggs: If you want to lose some fat around the middle, eggs are a great way to start your day. 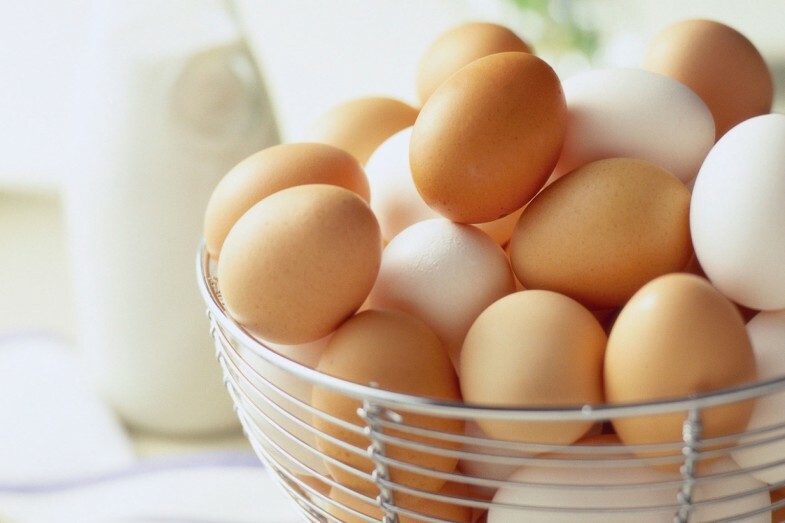 Eggs provide Vitamin D and choline known for playing a role in fat metabolism. 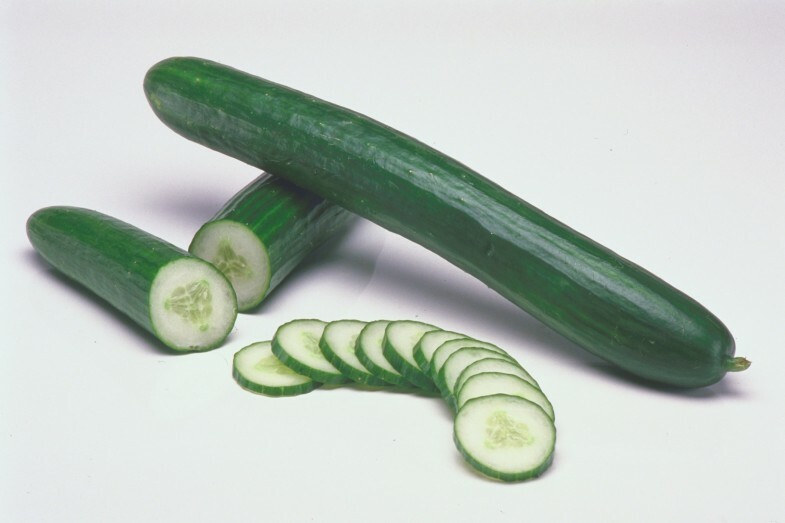 Cucumbers: Cucumbers are loaded with water and naturally low in calories to help with hydration and weight management. One whole cucumber has just 45 calories and eating them can also help you fight belly bloat. 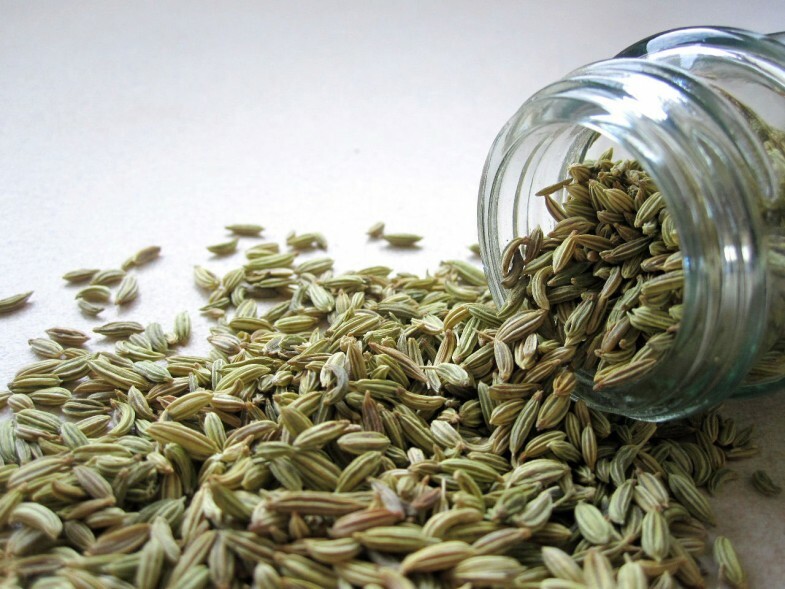 Fennel Seeds: Dried fennel seeds are very nutritious, containing fiber, magnesium, calcium and iron, and they have long been used as a digestive aid. Fennel helps to relax the gastrointestinal muscles, which helps trapped gas pass to alleviate bloating. Greek Yogurt: Yogurt is a good source of calcium, a mineral that slows production of the hormone cortisol, which encourages belly fat. 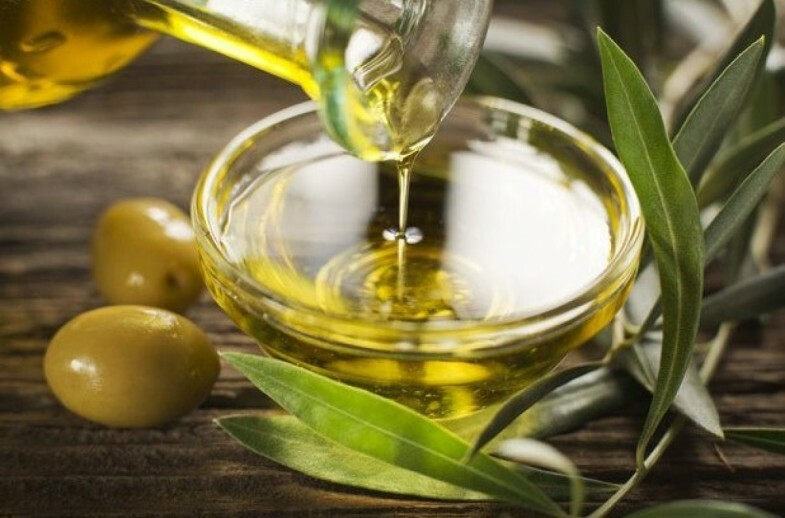 Olive Oil: Healthful monounsaturated fats found in olive oil could potentially switch on genes related to the burning and storage of fat. 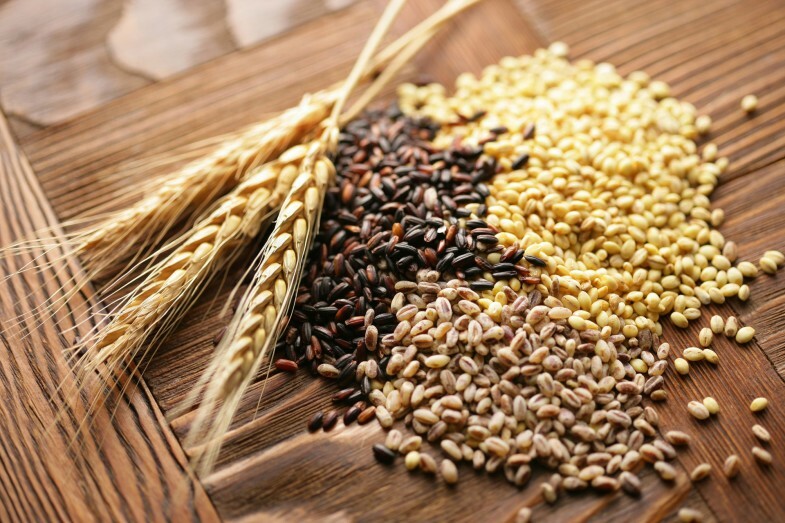 Whole Grains: Whole grains including quinoa, popcorn, oats and wheat — can help flatten your tummy. 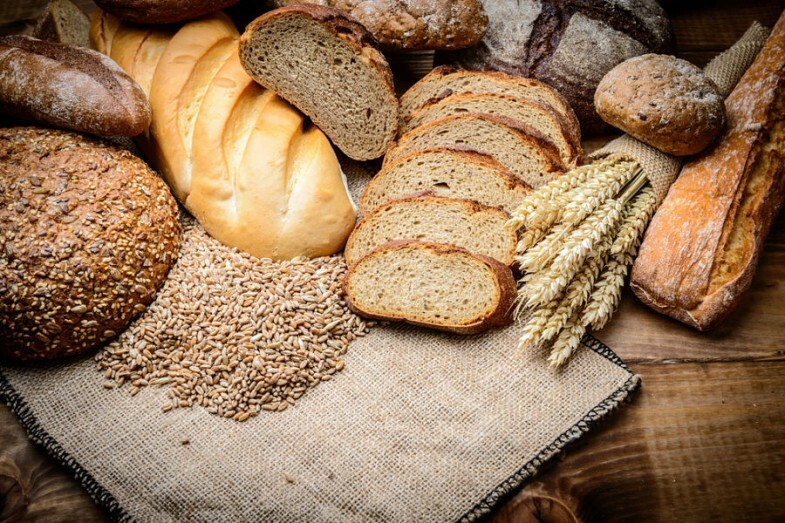 The USDA recommends healthy adults consume about six ounces of total grains per day, and that at least half of those grains should be whole grains. Water: Drinking enough water is helpful to flatten your tummy. Water is essential for moving fiber through the GI system and preventing constipation. What you eat after rolling out of bed has the power to banish cravings, turbo-charge energy, and keep your waistline in check. Breakfast munchers eat 12 percent healthier throughout the day, according to data from the app Eatery (by Massive Health), which tracks users’ daily chow-down habits. “Skipping breakfast makes you more likely to overindulge at your next meal or eat mid-morning snacks that are high in calories and sugar to ward off hunger until lunch,” says Amari Cheffer, R.D., owner of Eat Chic Chicago. 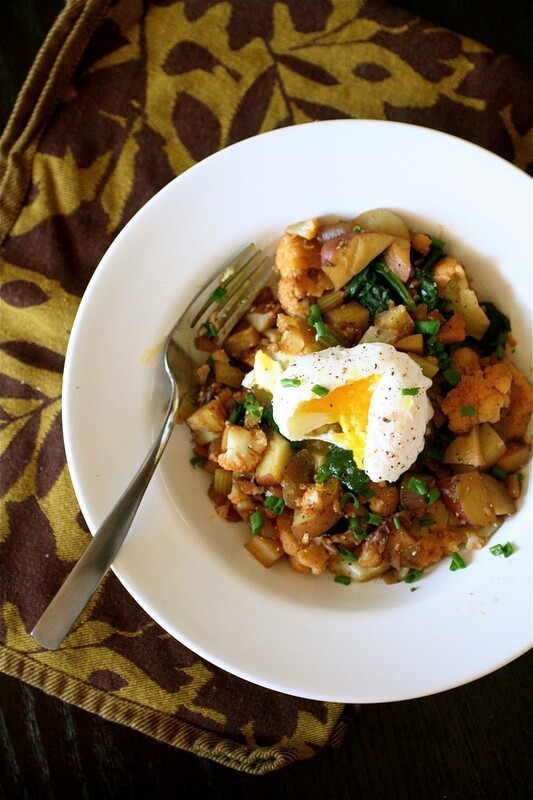 And if the a.m. is your time to exercise, you especially need to nosh. When you wake up, blood sugar levels and carb stores are way down, explains sports dietitian Michele Macedonio, R.D. Breakfast provides what your brain needs to feel alert and what your muscles need to perform at their best—so you feel zippy on the treadmill instead of fatigued and, well, just blah. Don’t reach for just any cereal or oatmeal, though. Different morning routines call for different morning meals. 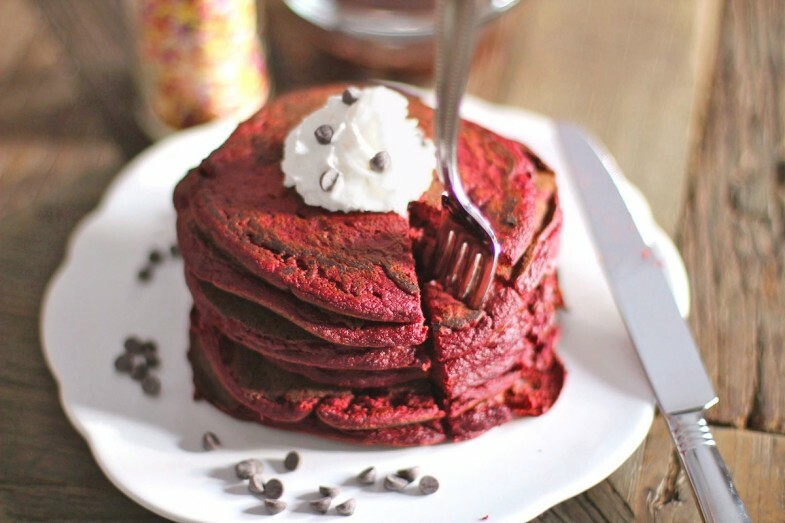 Whether you’re trying to drop 10 pounds or rip through an a.m. BodyPump class, one of these eight yummy, satisfying breakfasts will start your day on a high note. STRENGTH TRAIN IN THE A.M.
After you leave the gym, aim for another 20 grams of protein, as studies show this is ideal for kick-starting the muscle-repair process. 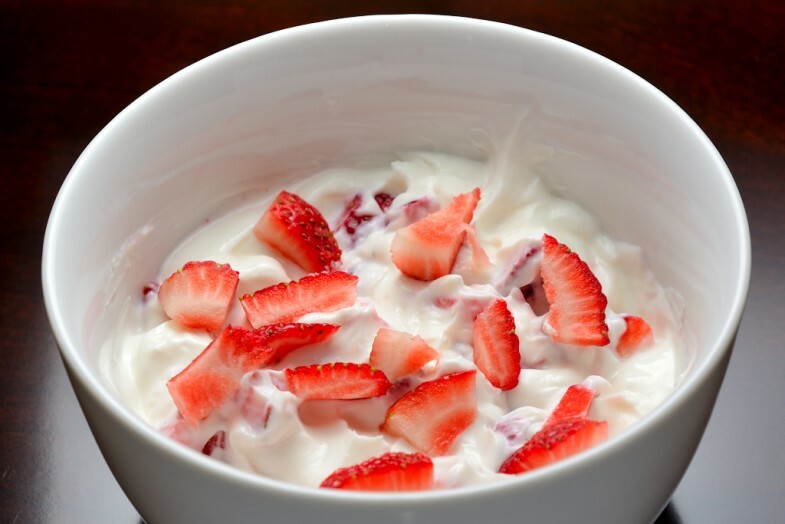 Try 6 ounces of fat-free or low-fat ricotta cheese, a cup of fat-free or low-fat Greek yogurt, or 3 ounces of sliced roast beef or roasted chicken. Repeat after us: A grande skinny caramel macchiato is not a breakfast. For the same wake-you-up buzz of caffeine and healthful antioxidants and no calories, have green tea. Then make one or two eggs—the whole thing, not just the whites since more than half of the fill-you-up protein is in the yolk—with a piece of fruit such as an apple or a cup of raspberries. This all clocks in between 135 to 240 calories and has 7 to 14 grams of protein and 4.5 to 8 grams of fiber to provide staying power until lunch, Cheffer says. First things first: Eat! “That will keep your metabolism going,” Cheffer says. 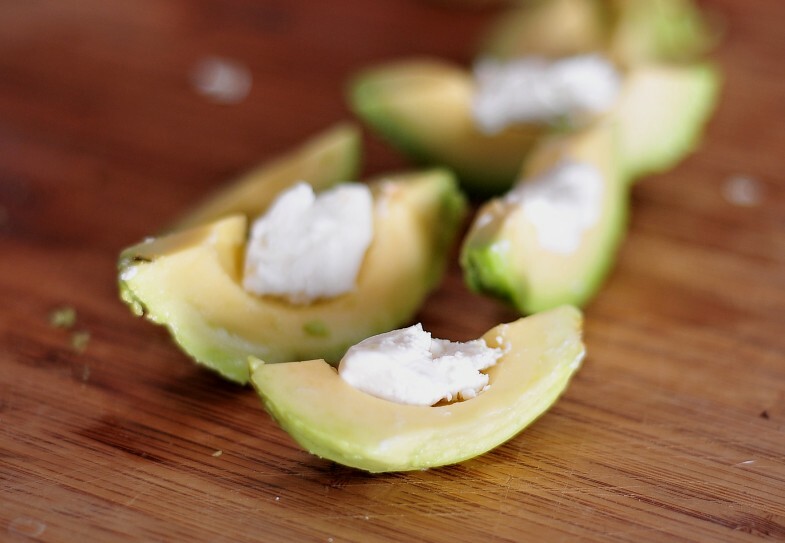 Nibble on something light within an hour of waking up such as a piece of fruit. And next time push back dinnertime. Eating two to three hours before going to sleep—including snacks—will give your body ample time to digest everything before the a.m. 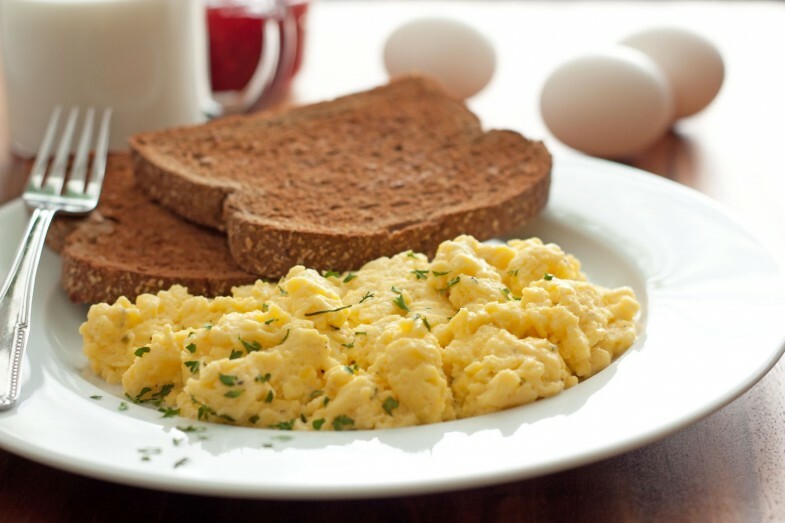 THE BEST BREAKFAST IF YOU…DO CARDIO IN THE A.M.
Post-workout, enjoy a mix of carbs to replenish glycogen stores and protein to maximize muscle repair, ideally within 30 minutes of your cooldown—this is the prime time when muscles are like a sponge, absorbing all those powerhouse nutrients. 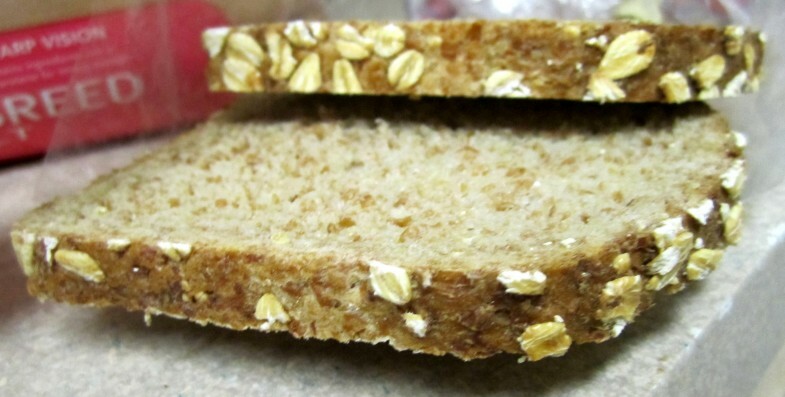 A 100-calorie whole-wheat sandwich, spread with a thin layer of peanut butter and topped with a bit of honey or jelly is an easy choice, Macedonio says. Slow-digesting fiber and protein are your best friends when you want to quash stomach rumblings. 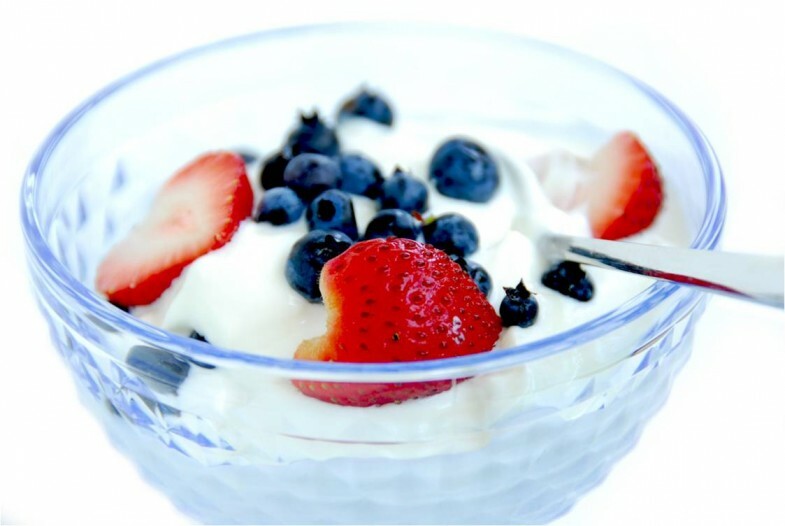 Shoot for 7 to 10 grams of fiber and 15 to 20 grams of protein, which can deliciously be reached with a pseudo-parfait of a cup of fat-free or low-fat Greek yogurt, a serving of high-fiber cereal (look for those that pack at least five grams per serving), and fresh or frozen blueberries. 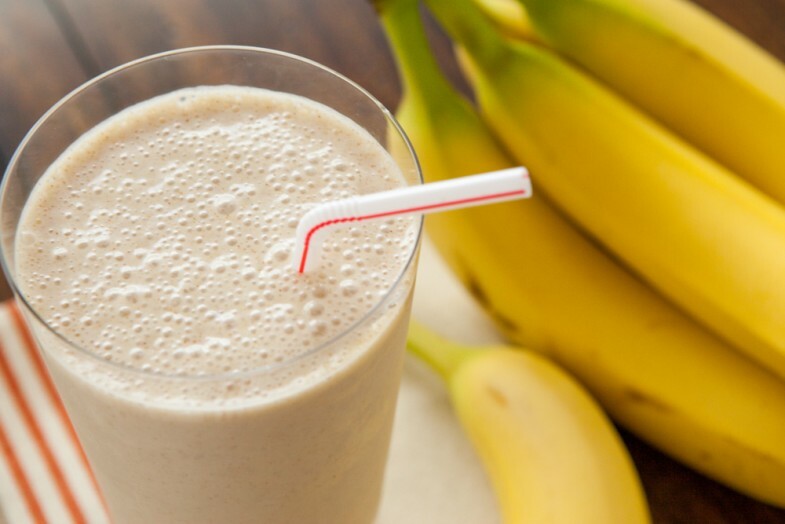 The last thing you want is something that sits like a rock in your gut, so an easy-to-digest smoothie is the way to go. 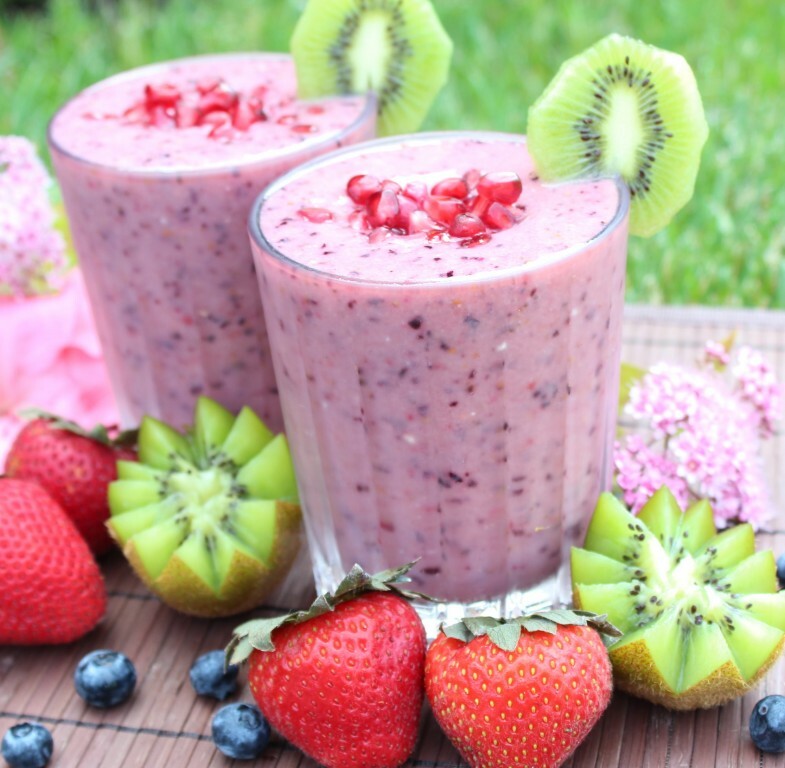 Keep it healthy by blending frozen fruit and milk or a non-dairy alternative. Or buy a bottled one that contains less than 30 grams of sugar per serving and protein to slow the rate at which your body absorbs that sugar and keep you fuller longer, Cheffer says. Either way, sip slowly through the morning for a dose of important vitamins and minerals. 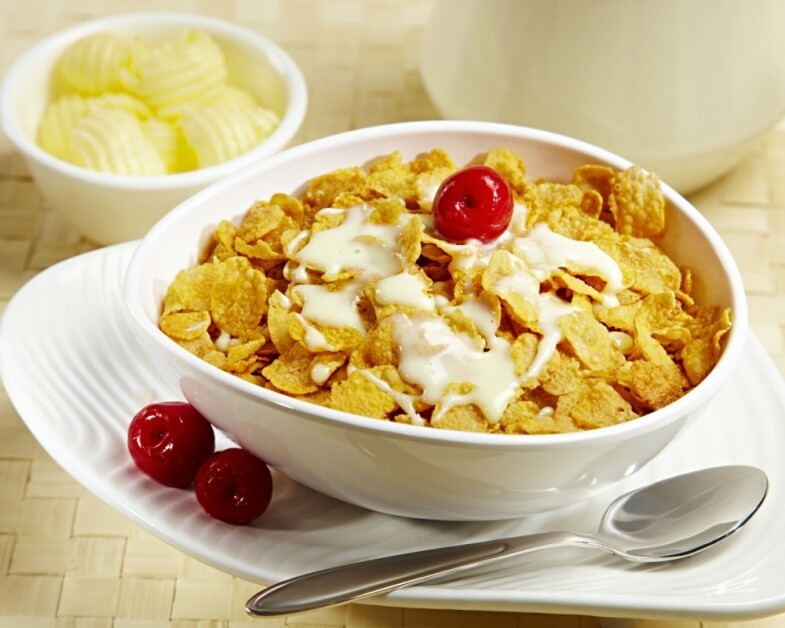 On Sunday, prep Macedonio’s favorite eat-on-the-run option for the week: Mix a whole-grain, high-fiber, low-sugar cereal (she likes Mini Shredded Wheat, Cheerios, or Chex); nuts (soy nuts, peanuts, or almonds); and dried fruit (raisins or cranberries), and portion out one-cup servings into sandwich bags. On your way out the door in the morning, grab a bag and a single-serve carton of low-fat milk. 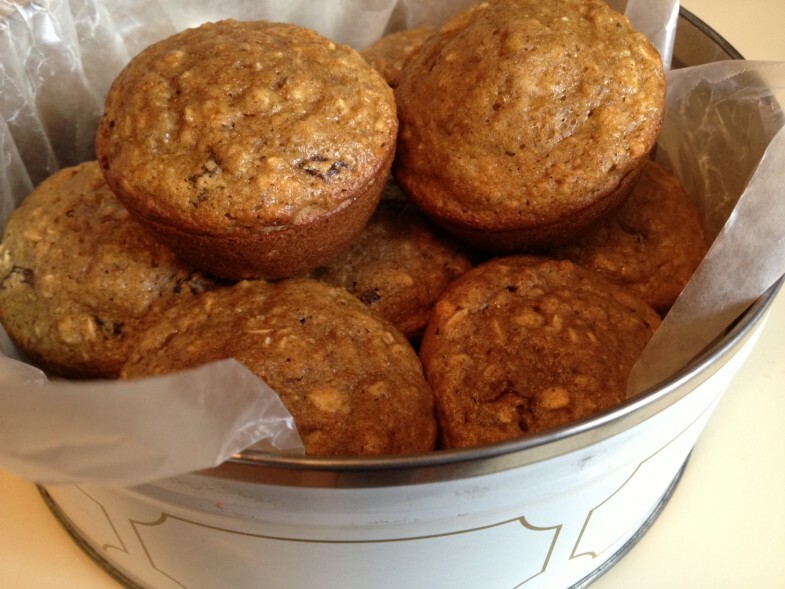 Or bake up a half-dozen fiber-rich breakfast muffins and freeze. Take one out the night before to thaw, or defrost it in the toaster oven when you wake up. Both options offer that perfect combo of carbs and protein that helps kick your brain into gear and satisfies your hunger. THE BEST BREAKFAST IF YOU…PRACTICE YOGA IN THE A.M.
Breakfast isn’t one-size-fits-all for yogis. Intense, athletic-style classes call for any of the options listed previously for cardio or strength workouts. Since milder versions of yoga typically don’t burn as many calories, Macedonio recommends a piece of fruit or container of applesauce before heading to the studio to pump up energy without weighing you down during an inversion. 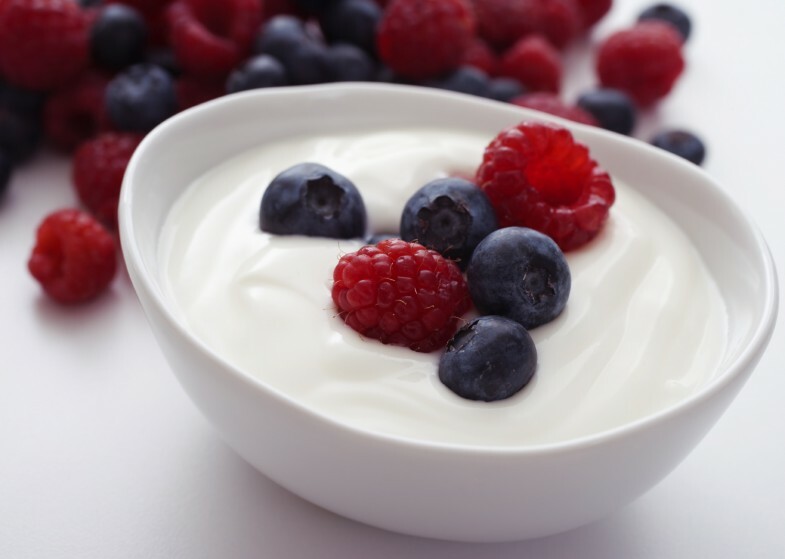 Following any type of downward dog session, chopped fruit stirred into a container of fat-free or low-fat plain yogurt is a good bet, as it delivers (say it with us) carbs and protein to recharge your body. It’s enough to make Popeye do a spit take: Despite their wimpy reputation, a cup of green peas contains eight times the protein of a cup of spinach. And with almost 100% of your daily value of Vitamin C in a single cup, they’ll help keep your immune system up to snuff. How to Enjoy Them: Layer them into a mason jar salad or add them to an omelet to boost eggs’ satiating power. 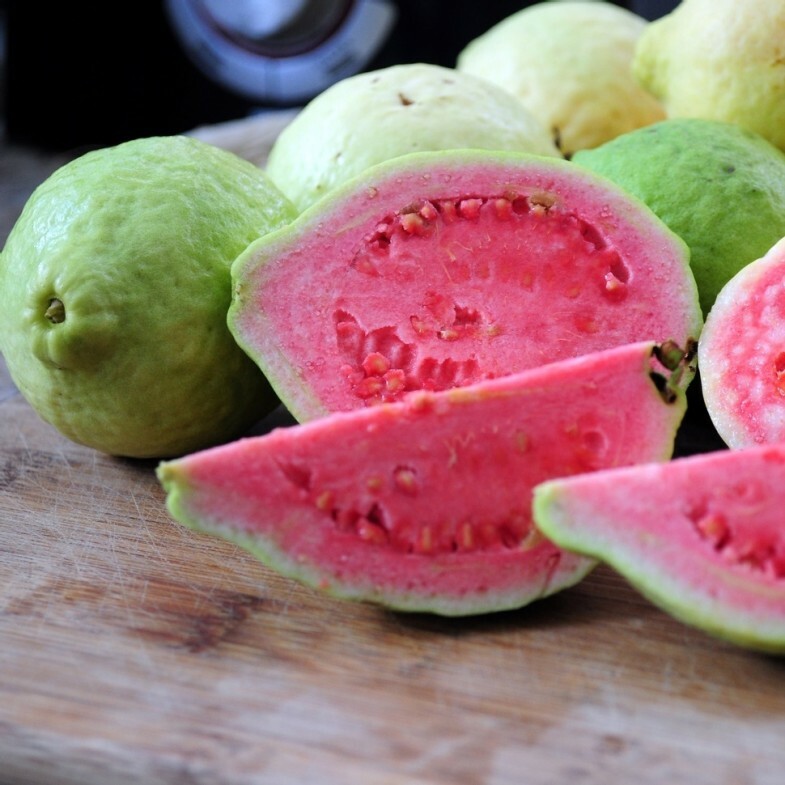 The highest-protein fruit, guava packs more than 4 grams per cup, along with 9 grams of fiber and only 112 calories. With 600% of your DV of Vitamin C per cup — the equivalent of more than seven medium oranges! — the tropical fruit should merengue its way into your shopping cart ASAP. How to Enjoy Them: The fairly complicated preparation process involves slicing and eating. You can also toss them into just about any type of salad, slip slices into a detox water, or make homemade popsicles with a fraction of the sugar of storebought. Similar in taste to sunflower seeds, these nuts are derived from hemp seeds, which are also used to grow cannabis. (We know what you’re thinking. The answer is no.) 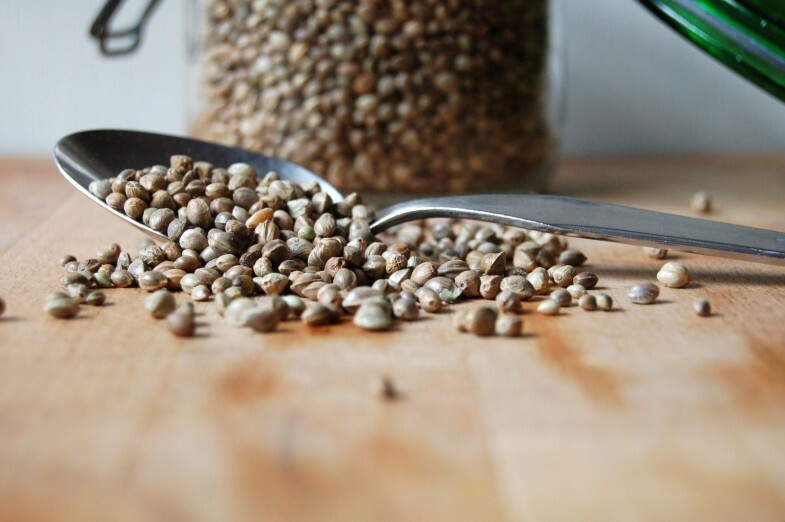 By weight, hemp seed nuts provide more high-quality protein than even beef or fish. Each nut is also packed with heart-healthy alphalinoleic acid. Find them in your local health-food store or in the natural-products section of your grocery store. How to Enjoy Them: Eat them straight from the bag, or sprinkle a handful on salads or in your morning oatmeal. Here are some pretty amazing proportions: One cup of lentils has the protein of three eggs, with less than one gram of fat! Their high fiber content makes them extremely satiating, and studies have shown that they speed fat loss: Spanish researchers found that people whose diets included four weekly servings of legumes lost more weight and improved their cholesterol more than people who didn’t. 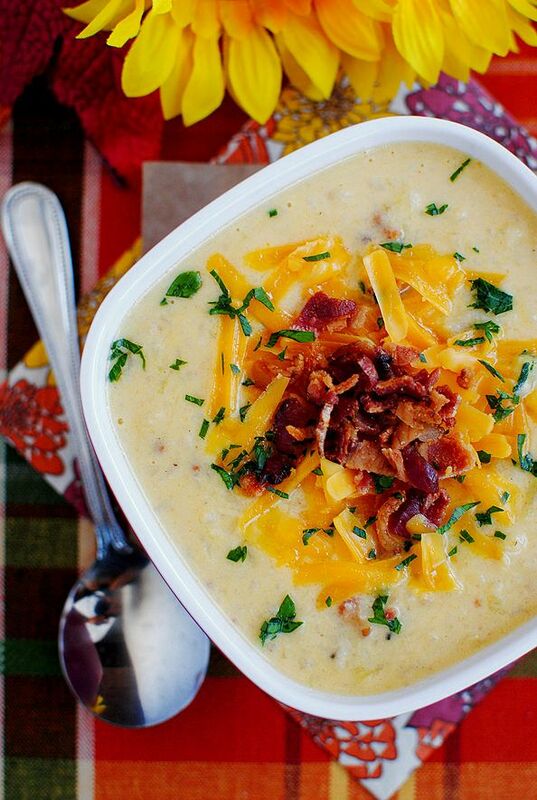 How to Enjoy Them: Eat them on their own as a side or simmer them into a number of all-season soups. 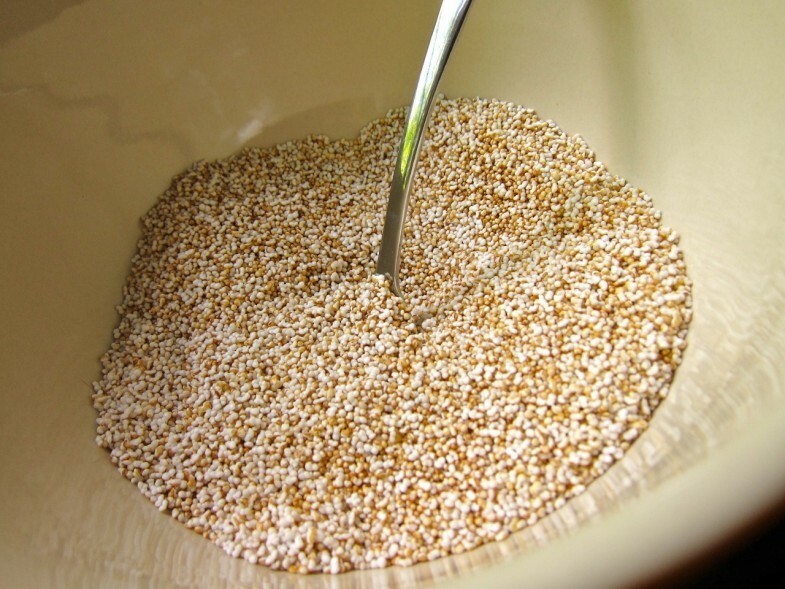 This ancient grain, which you can use in place of quinoa, has 3 more grams of protein per cup than its trendy cousin. It’s high in magnesium, potassium and iron, with 21 g of fiber per cup. 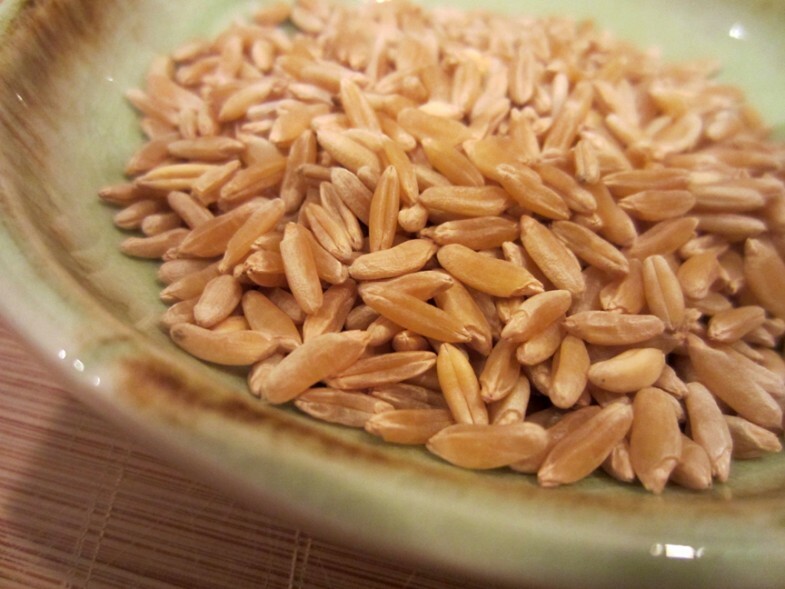 Bonus: A study published in the European Journal of Clinical Nutrition found that eating kamut reduces cholesterol, blood sugar and cytokines, which cause inflammation throughout the body. 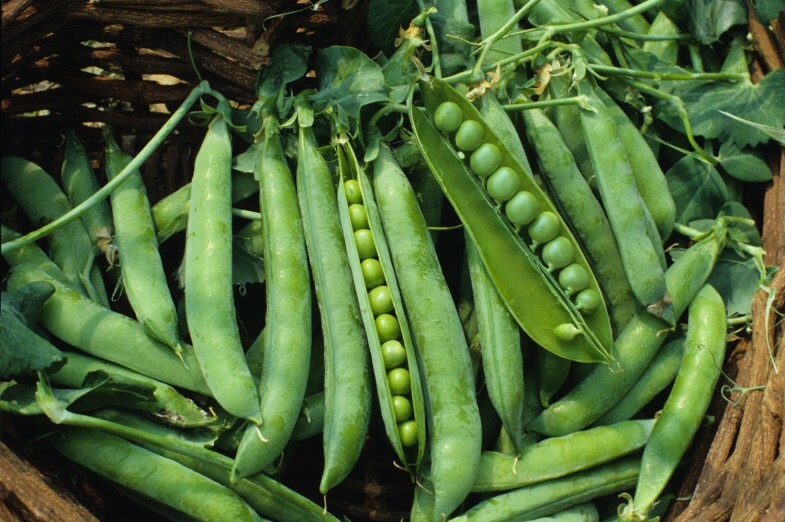 How to Enjoy It: Toss it into salads or eat it as a side dish on its own. And if you’re looking for a quick way to turbocharge your own weight-loss, sip your way thin with The 7-Day Flat-Belly Tea Diet and Cleanse. Test panelists lost up to 10 pounds in just one week! You may not have heard about this wheat-rye hybrid, but it just might become your favorite. 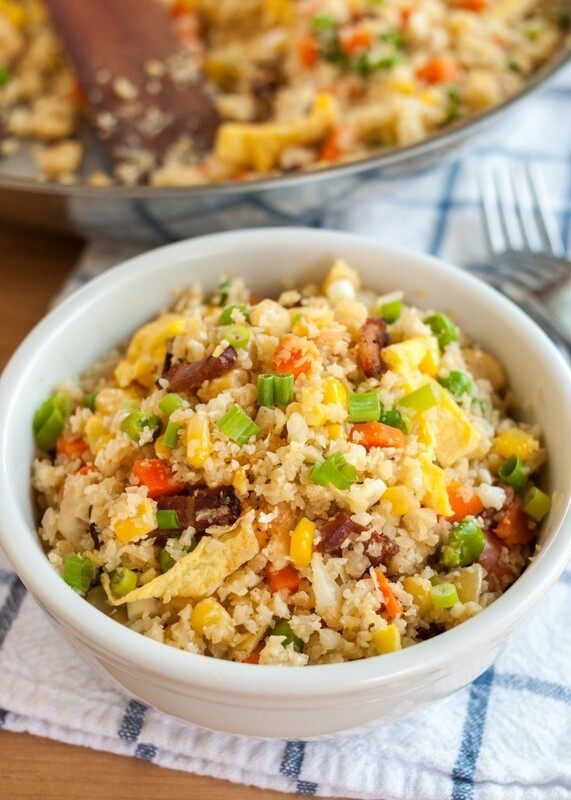 An able stand-in for rice or quinoa, triticale packs twice as much protein as an egg in one 1/2 cup serving! It’s also rich in brain-boosting iron, muscle-mending potassium and magnesium, and heart-healthy fiber. How to Enjoy It: Use triticale in place of rice and mix it with soy sauce, fresh ginger, cloves, shiitake mushrooms and edamame to make a healthy, Asian-inspired dish. You can also use triticale flour in place of traditional flour in your baking. Dairy products are famously protein rich, but this versatile cheese (dare we say the most versatile?) is truly impressive: You can get nearly 10% of your daily protein from a 1 oz, 76-calorie serving. 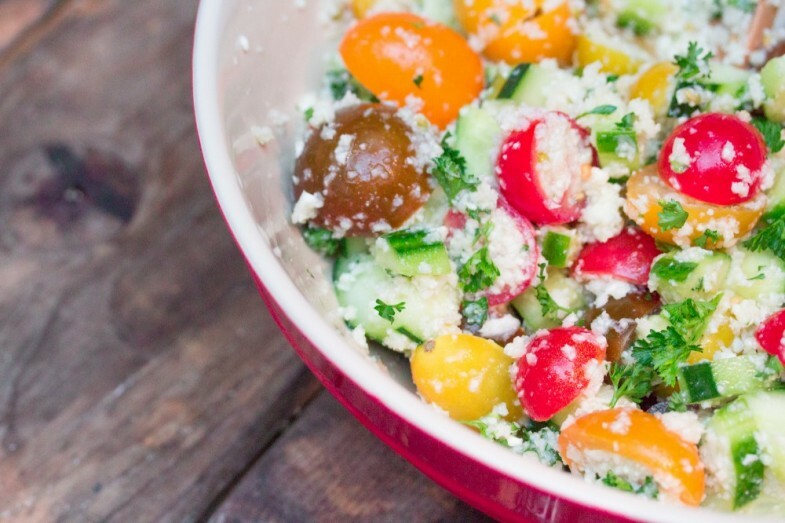 How to Enjoy It: Crumble goat cheese over a colorful salad and top it with ourZero Belly Vinaigrette dressing; use a watermelon or chickpea base to ratchet up the fat-burning benefits. Or combine feta with other flat-belly ingredients to make a creative healthy homemade pizza, like the arugula-and-cherry number above. When it comes to healthy snack foods, almonds and walnuts are always on the A-list, but pumpkin seeds, a.k.a. pepitas, are an underrated winner. One half-cup serving has 20% more protein than an egg, and is high in iron, potassium, phosphorus, magnesium and immune-system-boosting zinc. 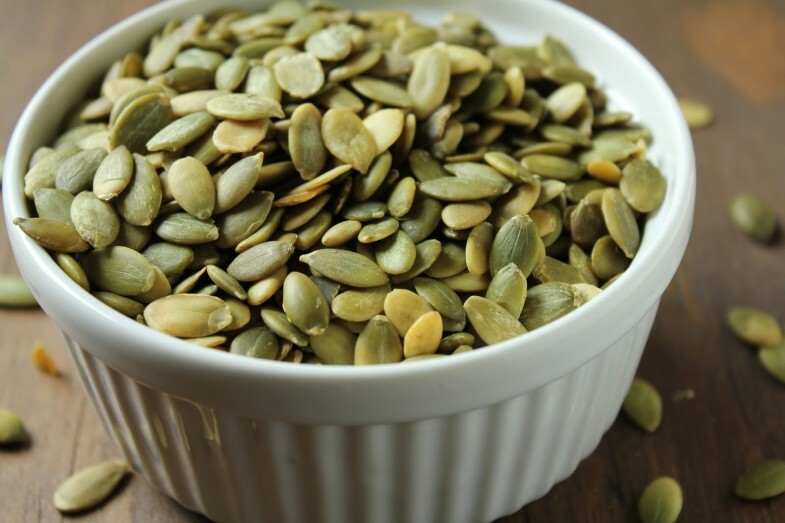 How to Enjoy Them: Add pumpkin seeds to salads, oats and yogurt, or grab a handful as a snack. Tomatoes are packed with the antioxidant lycopene, which studies show can decrease your risk of bladder, lung, prostate, skin, and stomach cancers, as well as reduce the risk of coronary artery disease. Just one cup of the sun-dried version will lend you 7 grams of fiber, ¾ of your RDA of potassium—which is essential for heart health and tissue repair—and 50% of your RDA of vitamin C, the superstar antioxidant that prevents DNA damage. They’re also rich in vitamins A and K.
How to Enjoy Them: Use them as a pizza topping, a tangy addition to salads, or snack on them right out of the bag. 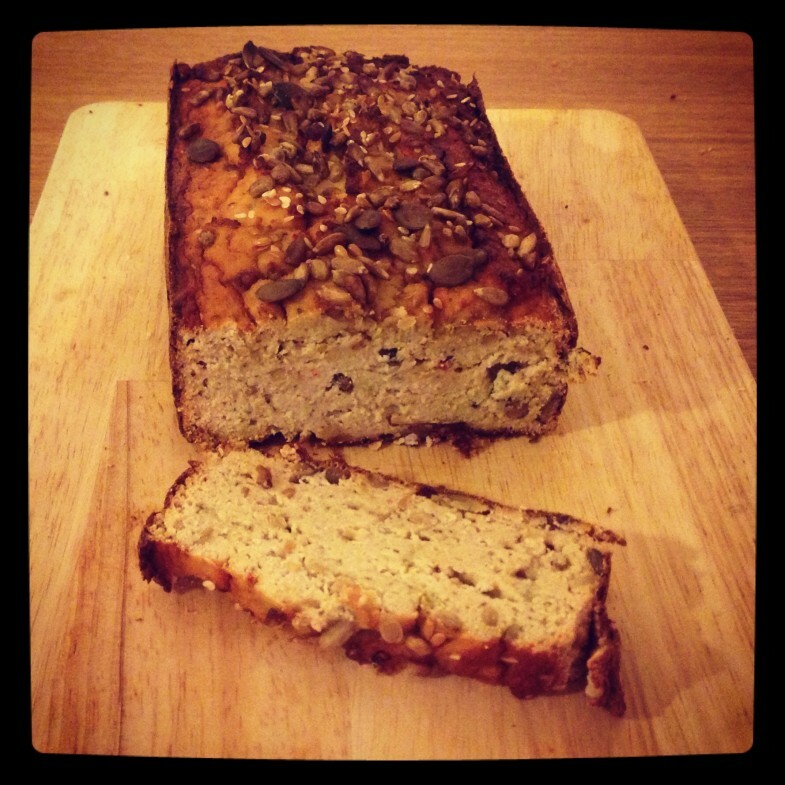 Not all breads are carb bombs waiting to shatter your weight loss goals. 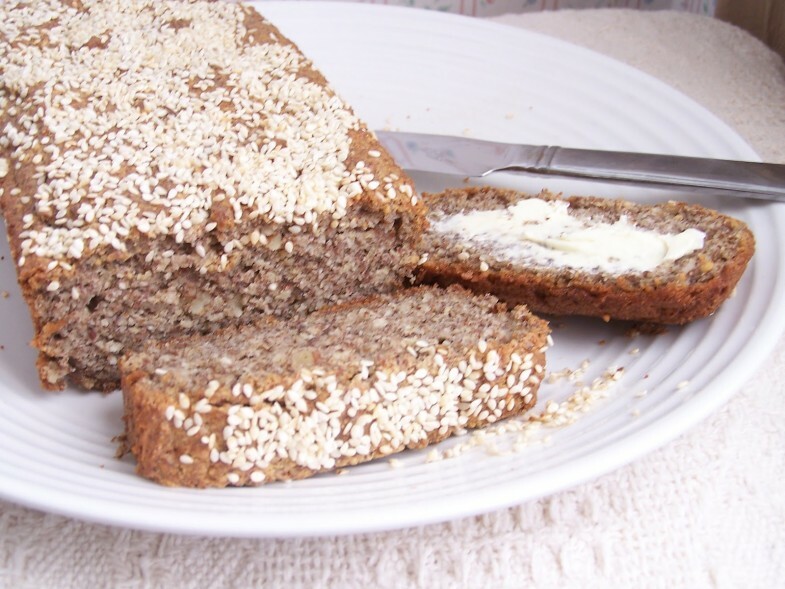 This nutrient-dense bread is loaded with folate-filled lentils and good-for-you grains and seeds like barley and millet. How to Enjoy It: Make a protein-packed veggie sandwich overflowing with wholesome nutrients. On two slices of sprouted whole-grain bread combine tahini-free hummus, avocado slices, roasted red peppers, cucumbers, onions, spinach and tomatoes. You might not think of the little beige bullets as a superfood, but it’s time to start. 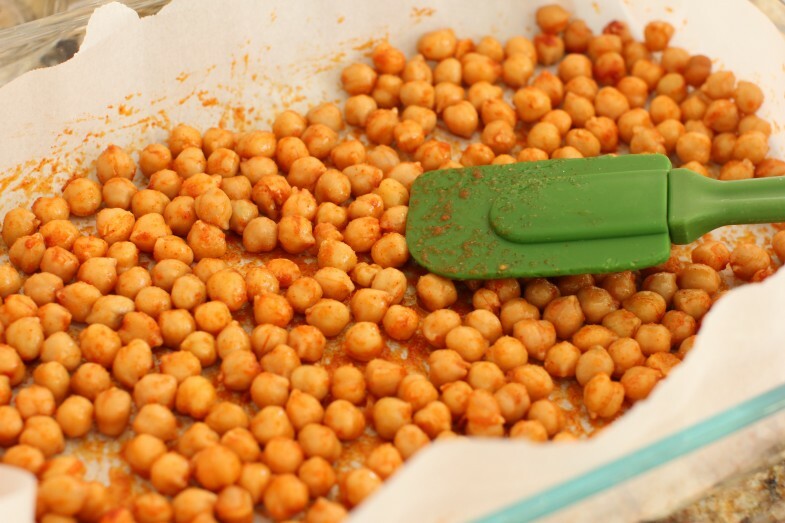 High in nutrients and soluble fiber, chickpeas are a prime weight-loss weapon, increasing feelings of satiety by releasing an appetite-suppressing hormone called cholecystokinin. 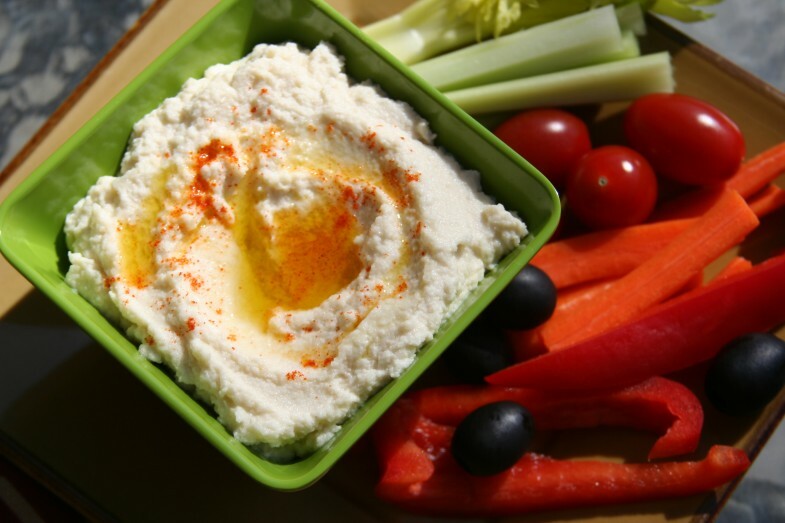 How to Enjoy Them: Use chickpeas as a base for a salad incorporating tomatoes and feta, blend them into homemade hummus with lemon and olive oil, or roast them (above) for a superhealthy alternative to chips. 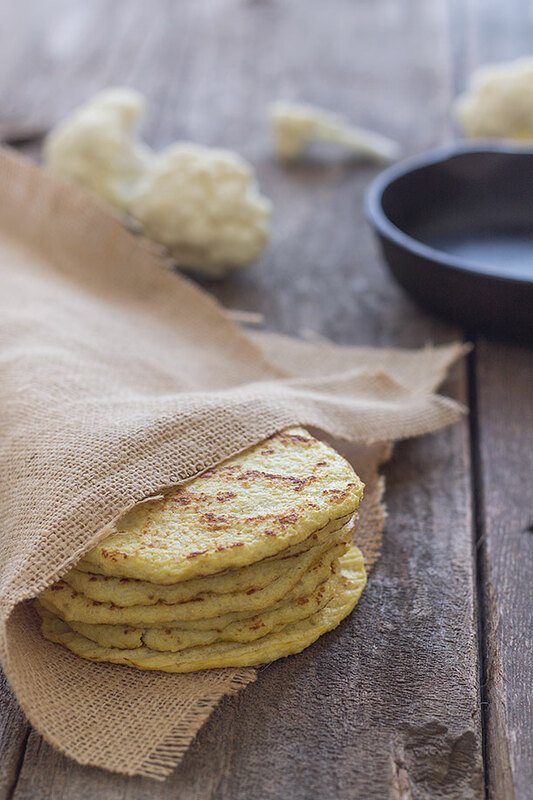 You can also substitute chickpea flour for a portion of the regular flour you use in baking; it contains almost twice as much protein as the standard white stuff. 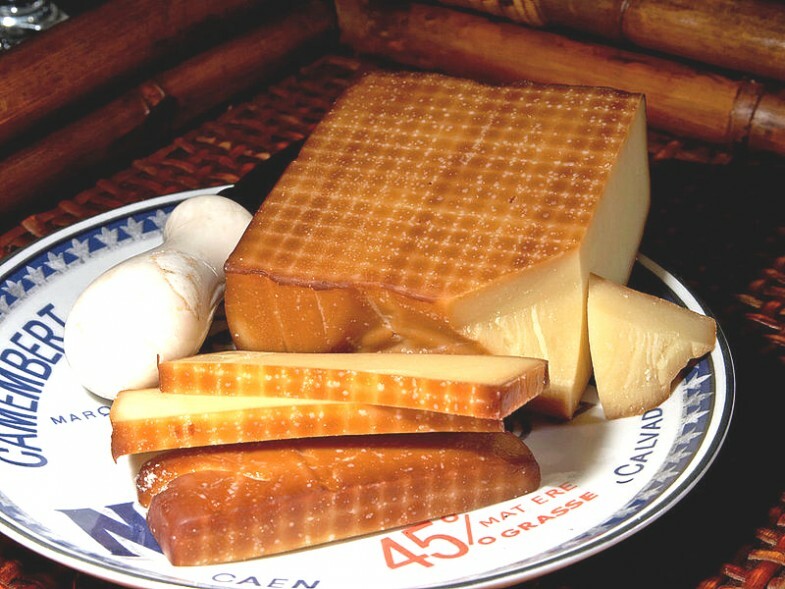 Here’s an excuse for a wine-and-cheese hour: The schmancy Swiss cheese (don’t forget the accented ‘e’) contains 30% more protein than an egg in one slice, plus one-third of your RDA of vitamin A. How to Enjoy It: If you’re looking to indulge, keep your serving to the size of four dice, and moderate your vino to one glass for women, two glasses for men, to get the bad-cholesterol-lowering benefits of the antioxidant resveratrol. Also, slim down fast by offsetting all these empty calories with these 8 Best-Ever Superfoods for a Flat Stomach! Ghrelin is your body’s “I’m hungry” hormone, which is suppressed when your stomach is full, so eating satiating high-fiber and high-protein foods is a no-brainer. 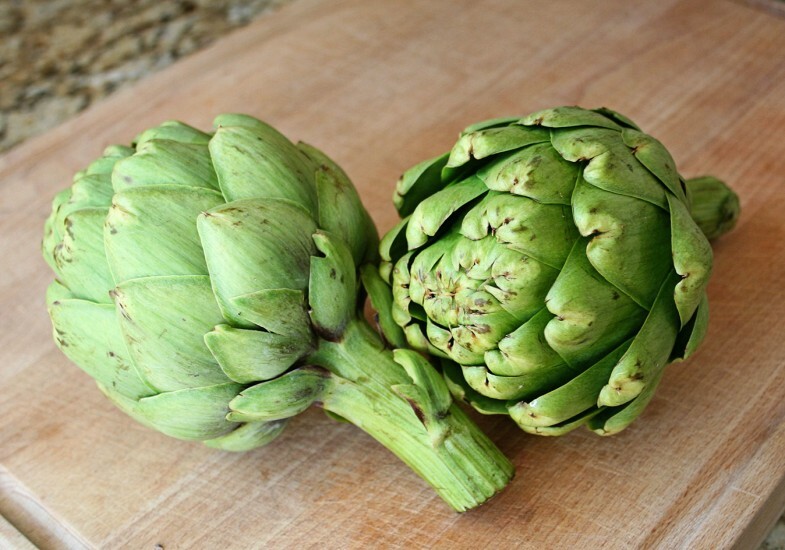 The humble artichoke is a winner on both counts: It has almost twice as much fiber as kale (10.3 g per medium artichoke, or 40% of the daily fiber the average woman needs) and one of the highest protein counts among vegetables. 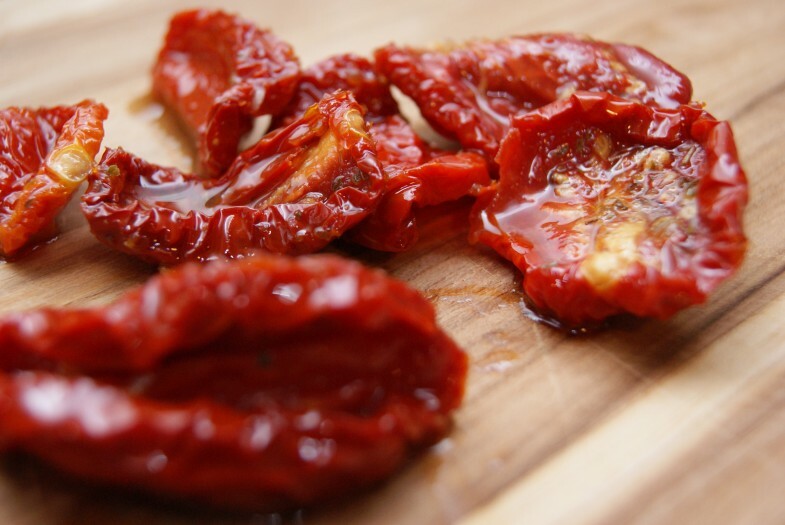 How to Enjoy It: Boil and eat the whole shebang as a self-contained salad (why not add a little goat cheese and sun-dried tomatoes? ), toss the leaves with your favorite greens and dressing, or peel and pop the hearts onto healthy pizzas and flatbreads. 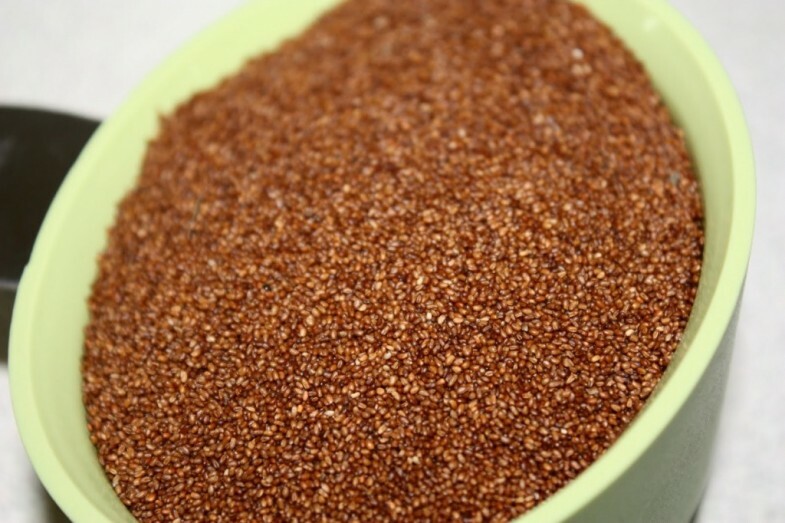 Dubbed the next big thing in grains, teff has some calling it “the new quinoa,” and Lisa Moskovitz, RD, says that label is well deserved. “It’s a more complete amino acid-packed protein than quinoa itself,” she says. “That makes it great for anyone who wants to keep calories low and protein high.” Moskovitz says the health benefits don’t stop there. Teff is “also a good source of fiber, in addition to containing 30 percent of your daily value of blood-pumping iron.” All that fiber and protein add up to one key element in your slim-down efforts: appetite control. How to Enjoy It: Cook teff as a simple side dish with some Parmesan, onions, fresh garlic and tomatoes, or use it as a base for breakfast porridge. Add honey, fruit, and unsweetened coconut flakes for some additional flavor and crunch. The fruit with the second-highest amount of protein (behind guava), blackberries’ benefits are strictly front-of-the-pack. They boast phytonutrients that help blood clot and keep bones healthy, as well as the antioxidant lutein, which supports eye health. 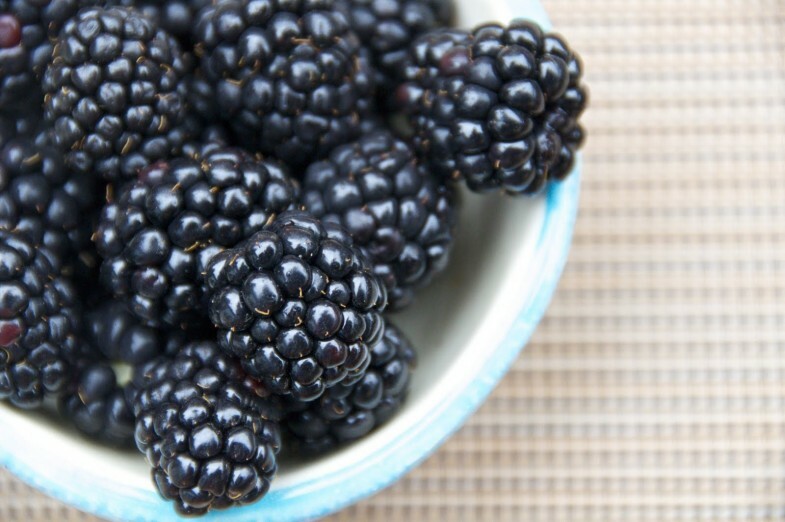 Plus, with 8 grams of fiber per cup (almost as much as soybeans), blackberries are one of the 11 Best High-Fiber Foods for Weight Loss. How to Enjoy Them: Scarf them by the handful, add them to whole-wheat pancakes, or sprinkle them into plain Greek yogurt for a high-protein breakfast without excess sugar. One of the hallmarks of a balanced diet is to have a good ratio of omega-6 fatty acids to omega-3s. A 4:1 ratio would be ideal, but the modern American diet is more like 20:1. That leads to inflammation, which can trigger weight gain. 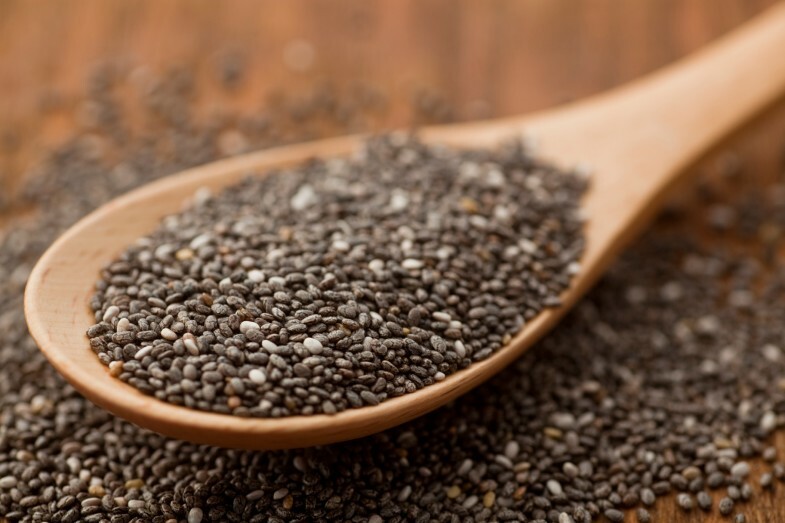 But while eating a serving of salmon every day isn’t exactly convenient, sprinkling chia seeds—among the most highly concentrated sources of omega-3s in the food world—into smoothies, salads, cereals, pancakes or even desserts is as easy a diet upgrade as you can get. How to Enjoy It: Bring a chia-based snack to work that you can reach for (guilt free!). Try making chia pudding with 1/2 cup chia seeds, 2 cups unsweetened almond milk and vanilla extract to taste. In a rush? Stock up on Chia Pods for a quick grab-and-go snack. Like quinoa, this nutrient-packed seed is native to the Americas and was a staple of the Incan diet. The grain-like seeds have a mild, nutty taste. 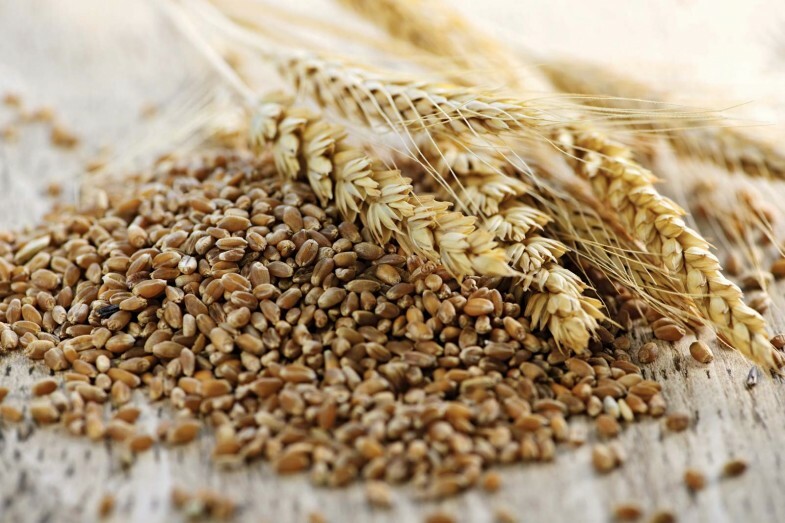 Gram for gram, few grains can compete with amaranth’s nutritional portfolio. It’s higher in fiber and protein than wheat and brown rice, it’s loaded with vitamins, and it’s been shown in studies to help lower blood pressure and harmful LDL cholesterol. How to Enjoy It: Amaranth cooks up just like rice, but it’s even more versatile. Toss it with grilled vegetables as a bed for chicken or steak, or with apples, almonds, and goat cheese for a serious salad. These tangy, dark yellow berries are native to South America, where they’re sold fresh or made into preserves. 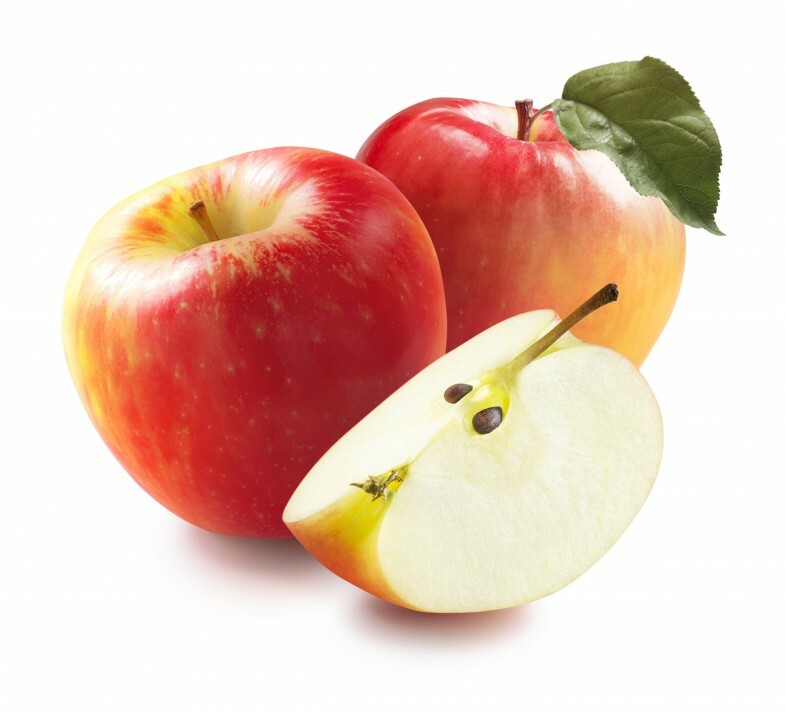 In the United States, you’re more likely to find the fruit dried and bagged. 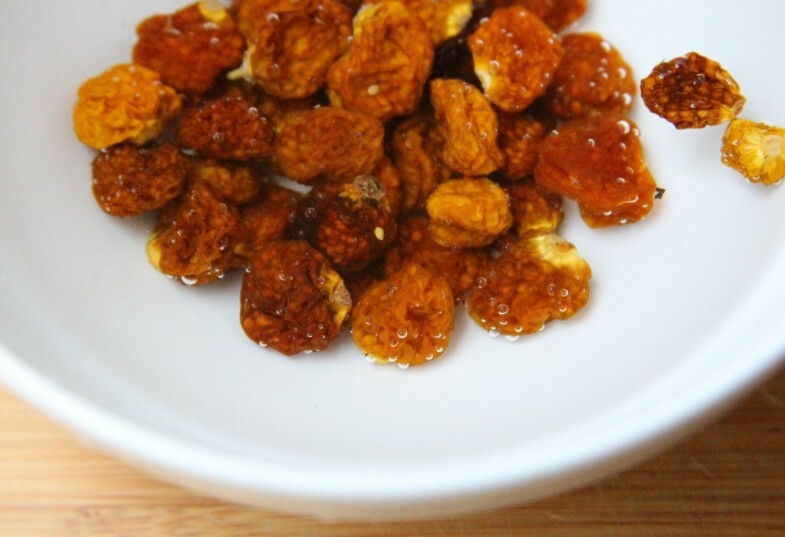 One serving of dried goldenberries contains 4 grams of protein and 5 grams of fiber. 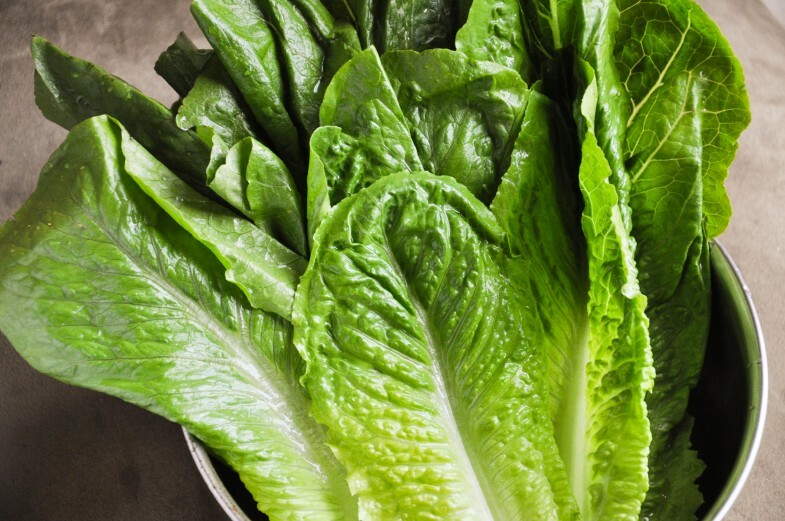 They’re also a great source of vitamin A and disease-fighting antioxidants. You can find them at Whole Foods. How to Enjoy Them: Snack on the dried berries alone like you would raisins, or toss a handful on a salad or your breakfast cereal. Commonly eaten in China and India, these beans have a tender texture and a sweet, nutty flavor. They’re high in potassium, iron, and fiber, but they’re also 24 percent protein. 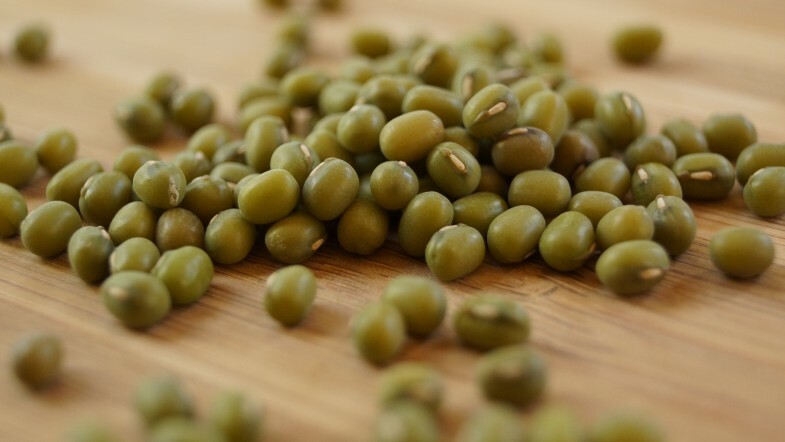 What’s more, unlike many other legumes, mung beans retain most of their high levels of vitamin C even after they’re boiled. Eating quality food post-workout is crucial…you know, if you expect to make gains and stuff. The science on recovery is a little War-and-Peace-y in its complexity but you can boil it down to a few nutritional musts: in order to optimize your results, you need to replace the amino acids and glycogen lost during your workout. Starting the muscle building process by increasing protein synthesis and nitrogen retention requires a quick dose of the right protein and carbohydrates. But we can’t (and shouldn’t) always rely on plain protein shakes, chicken and rice. It’s boring and an absolute affront to your flavor-deprived palate. Besides, your body prefers a wide variety of nutrient-dense foods. Try these six post-workout muscle-building meals that taste great and get results. How To: Mix four egg whites, ½ cup rolled oats, ½ cup cottage cheese, 1/8 teaspoon baking powder and ½ teaspoon pure vanilla extract. Cook on a preheated griddle on medium to low heat, until it bubbles then flip and cool another 30-60 seconds. Top with fresh berries or banana slices. 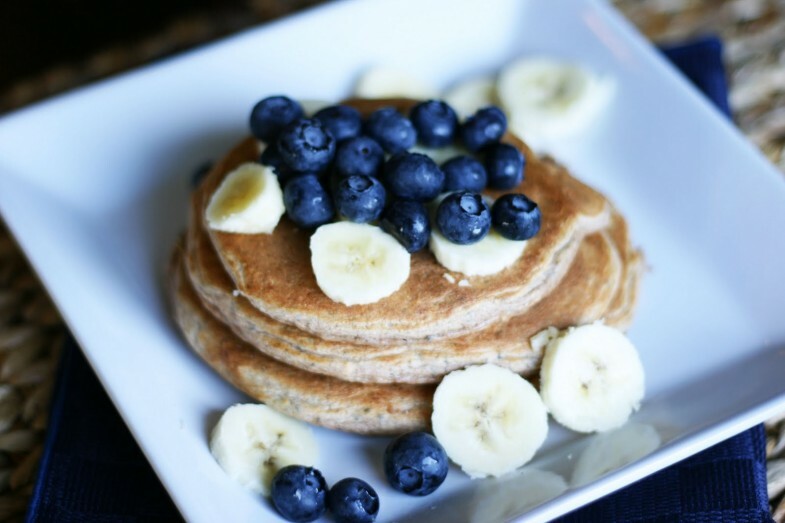 The Perks: These pancakes pack a mean protein punch without a ton of carbs, perfect for those looking to retain muscle tissue when trying to lean up. The medium- and slow-digesting proteins help keep a steady stream of amino acids to stay more anabolic. How To: For those looking to satisfy that deep, aching post-workout hunger, this one is for you. Cook up eight ounces of lean grass-fed beef with salt and pepper to taste. Cook one whole butternut squash for 30-45 minutes until soft. 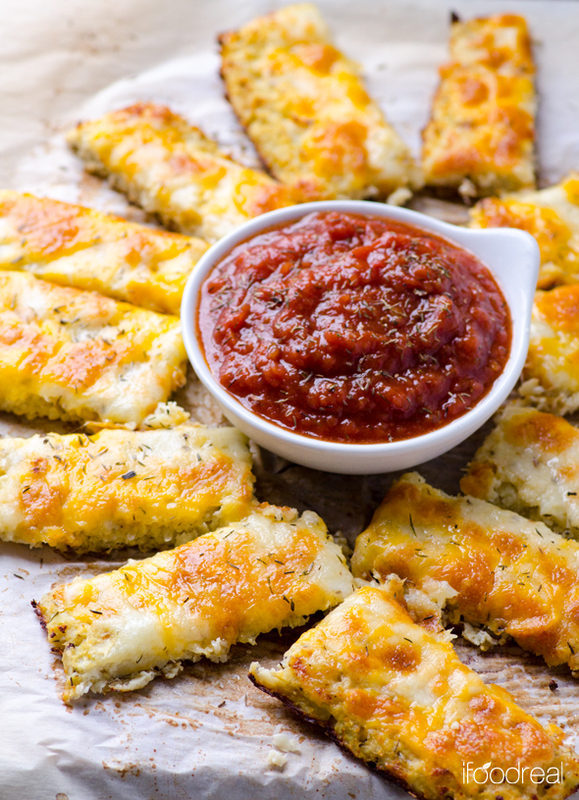 Mix them together in the pan when done and add four ounces of your favorite marinara sauce. The Perks: If you are training hard and with more volume than usual, chances are your appetite is up as well. The creatine replenishes your explosive energy stores and extra fat from the beef helps keep you satisfied and full of calories. The starchiness of the squash digests slowly and helps keep hunger at bay. 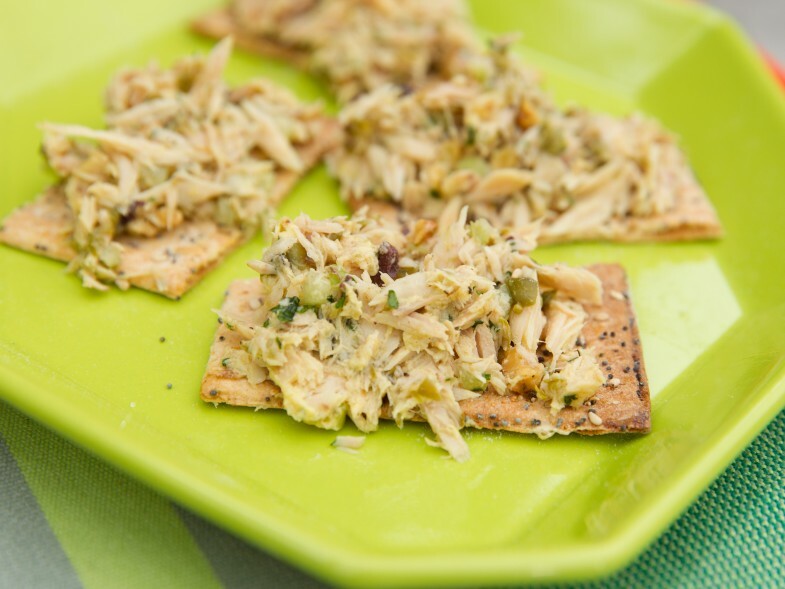 How To: Take a can of yellow fin tuna and add a handful (1/2 cup) of crushed up whole grain crackers. For flavor, add pepper, a dab of extra virgin olive oil, mustard, and chopped up pickles. The Perks: This one is perfect to utilize on-the-go for those working out on their lunch break at work, or those who have to endure an epic commute home from the gym. It is also simple and cost effective. The crackers add some needed carbs, helping to spike your insulin levels to drive nutrients into your muscles. How To: Add ½ cup of rolled oats, 1-2 scoops of your favorite whey protein powder (we suggest vanilla), ½ cup of frozen or dried fruit, and slivered almonds. Add ½ cup of water or skim milk and let it sit overnight in the fridge. Add cinnamon or stevia to add more flavors. The Perks: Another great convenience food, this dish is best for morning trainers. Oats and whey have been a bodybuilding staple forever, but often times are bland and burnt out. 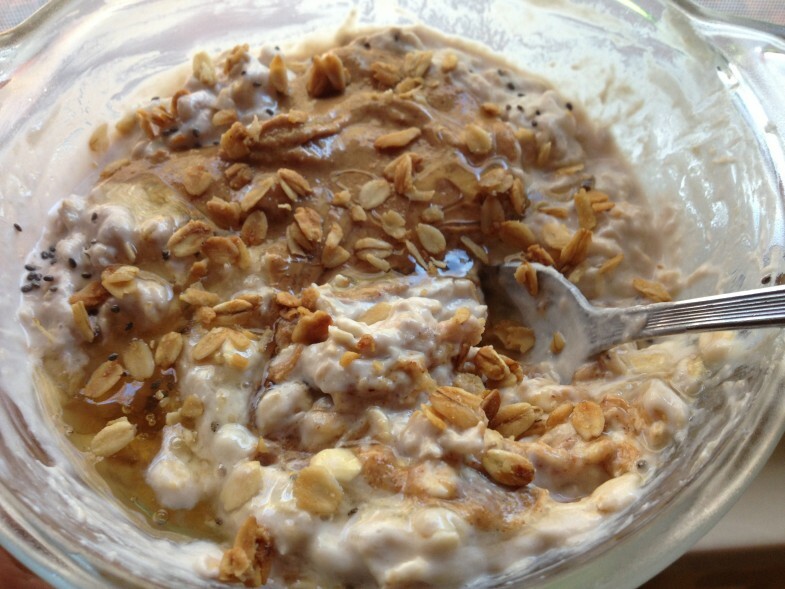 By adding some fruit, natural sweetener and almonds, you gain a whole new appreciation for oatmeal. The balance of carbs and protein make it great for those looking to build mass and those watching the leanness scale. 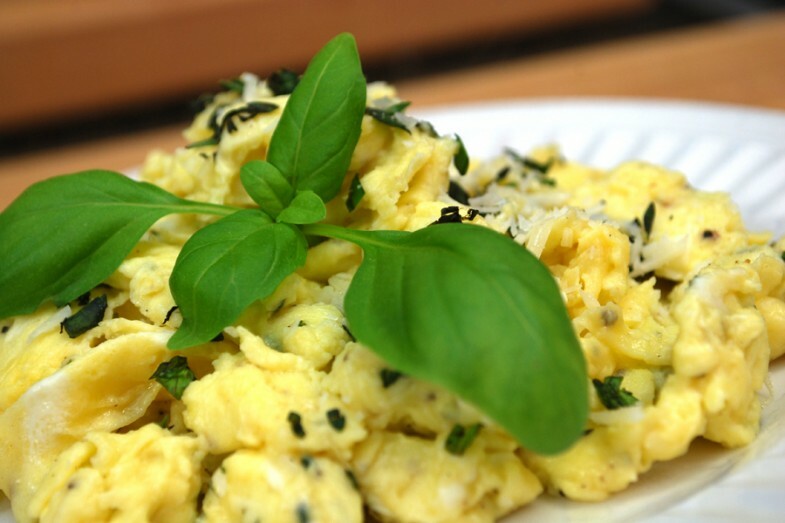 How To: Scramble four whole eggs with two added egg whites. Add one cup of chopped mixed veggies. Spinach, onions, mushrooms and red bell peppers are good additions. For more protein, add ¼ cup of diced lean ham or bacon. If you need (or want) more carbs, add a piece of fresh fruit on the side. How To: Grab a large chicken breast (about 8 ounces) that is already cooked and dice it up and throw it in a pan with olive oil. Add ½ cup of diced sweet potato, 1/2 cup of diced apples and add cinnamon, salt and pepper to taste. You can make an even bigger batch to store in the fridge to use through the week. The Perks: Chicken and sweet potatoes, gourmet recovery style. Sweet potatoes are the perfect bodybuilder carb that slowly digest to keep your energy levels high and insulin spike just enough to feed the muscles but not the fat stores. 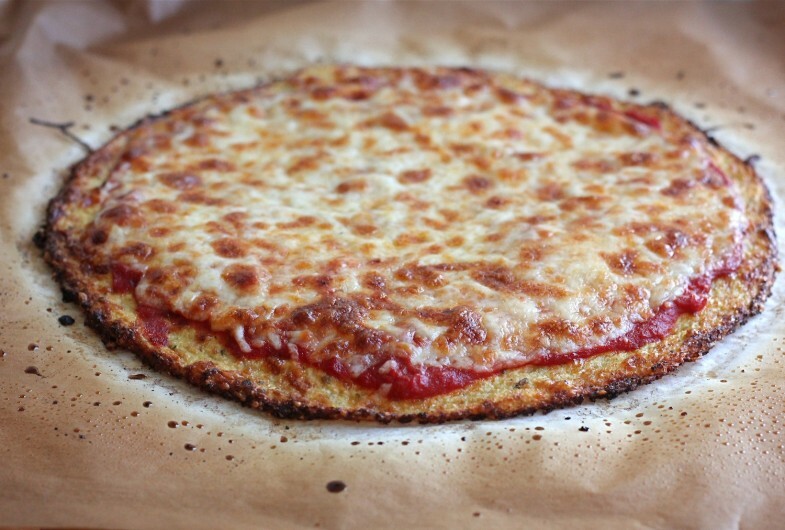 Some genius did the obvious move and turned cauliflower pizza crust into cauliflower breadsticks. You know, like Papa John’s but… not. I mean, the “everything” overpowers the “bagel” either way. 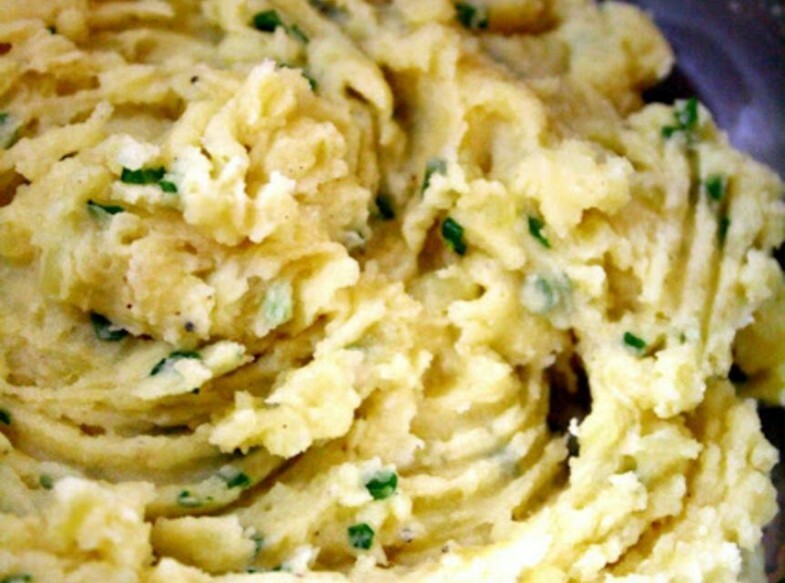 White potatoes, you’ve officially been replaced. All I see here is so much cheese. And that’s OK. These are truly something else. 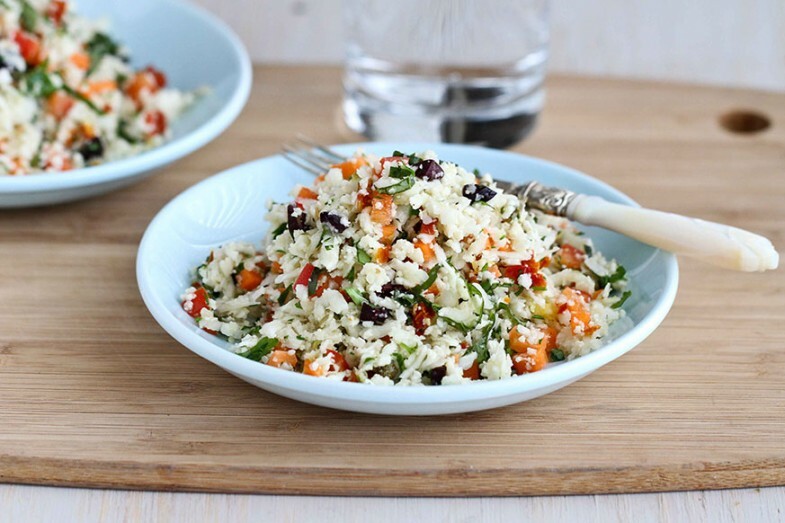 Same deal as the cauliflower rice, but calling it couscous makes it taste more Mediterranean. Cauliflower also cooks faster than potatoes. So, double WIN. Utensils necessary, but that’s a small price to pay for a low-carb pizza option. Who wants to come over for taco night? These are a swap for what, exactly? 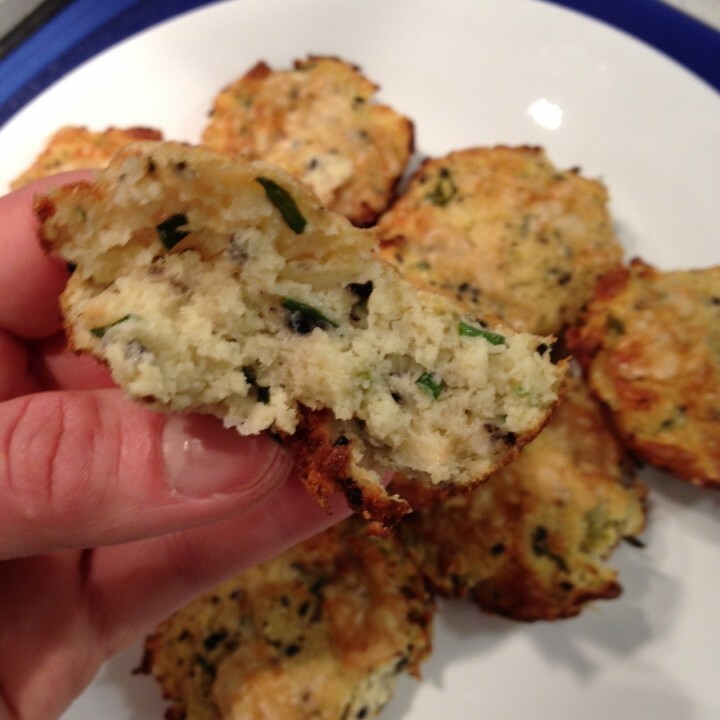 Latkes? 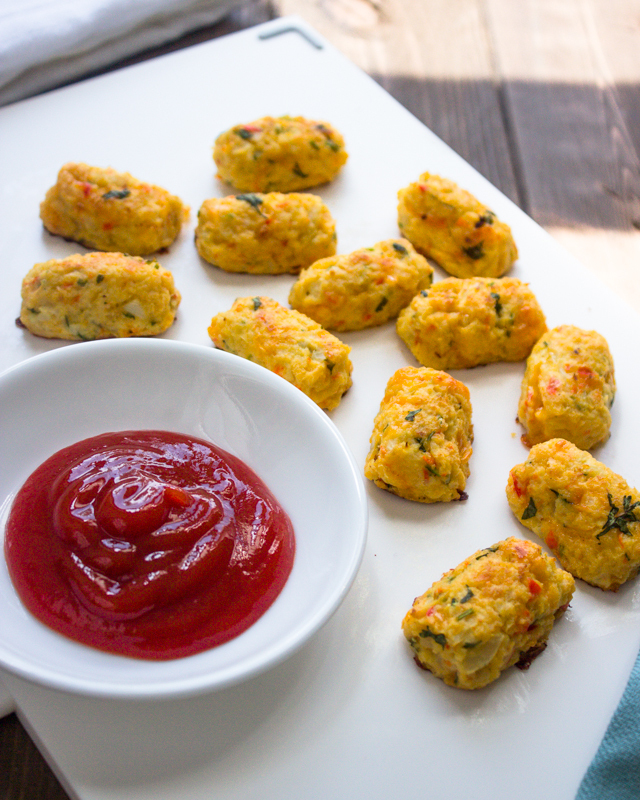 Corn fritters? Croquettes? I really don’t know, but I know that they are totally, 100% delicious. 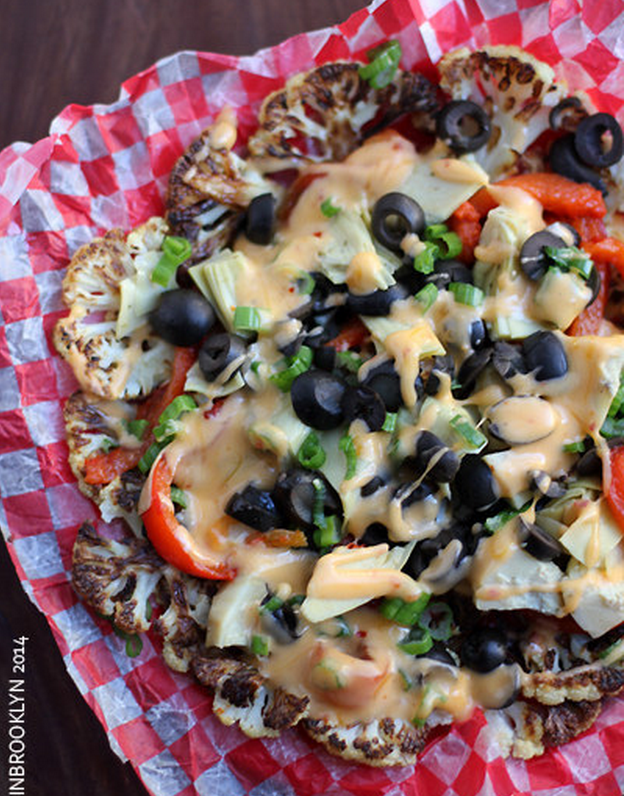 Because cauliflower on cauliflower is setting yourself up for happiness. 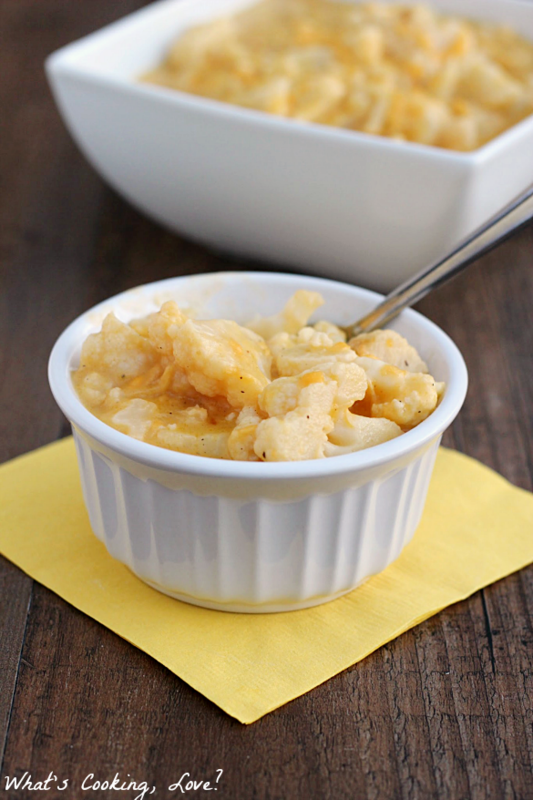 Chickpeas are great and all, but cauliflower is a pretty mighty substitute.